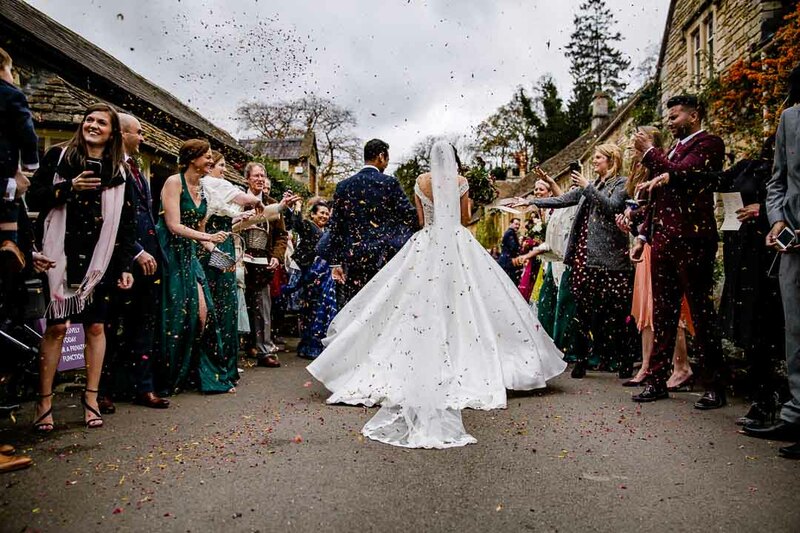 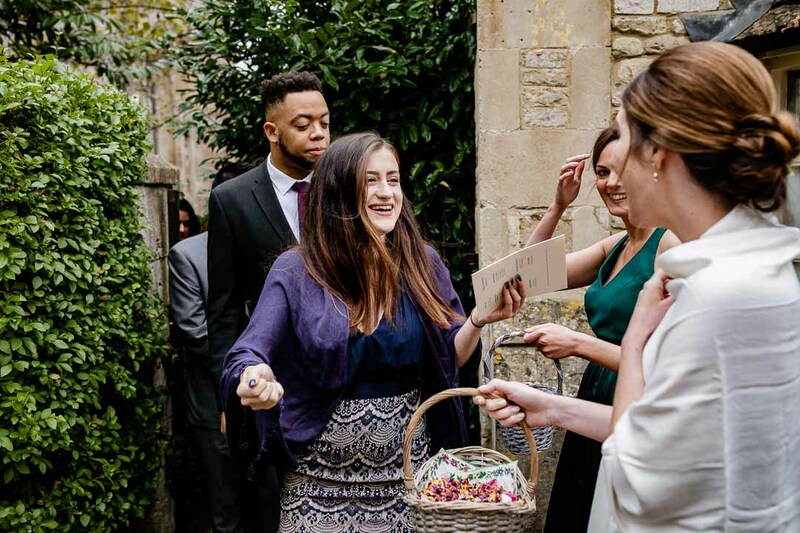 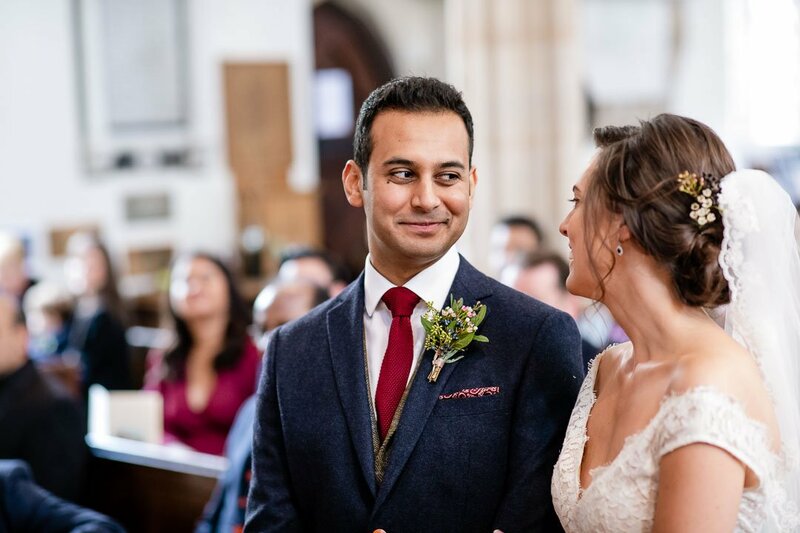 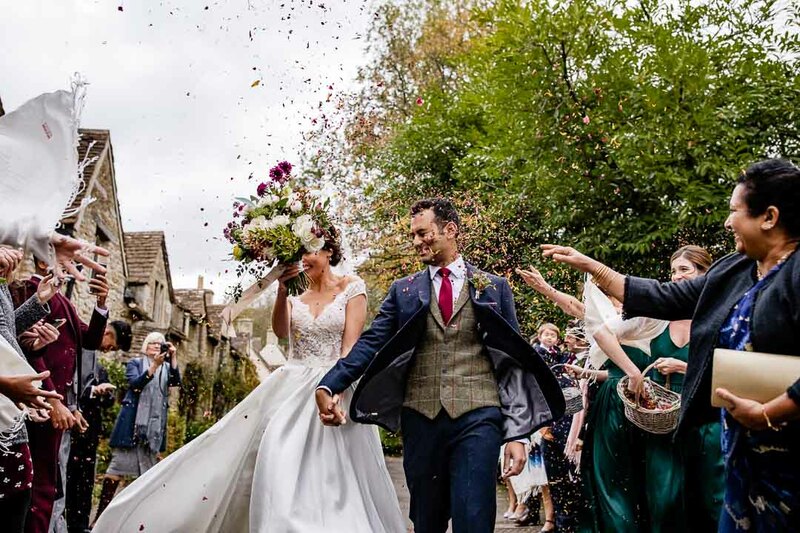 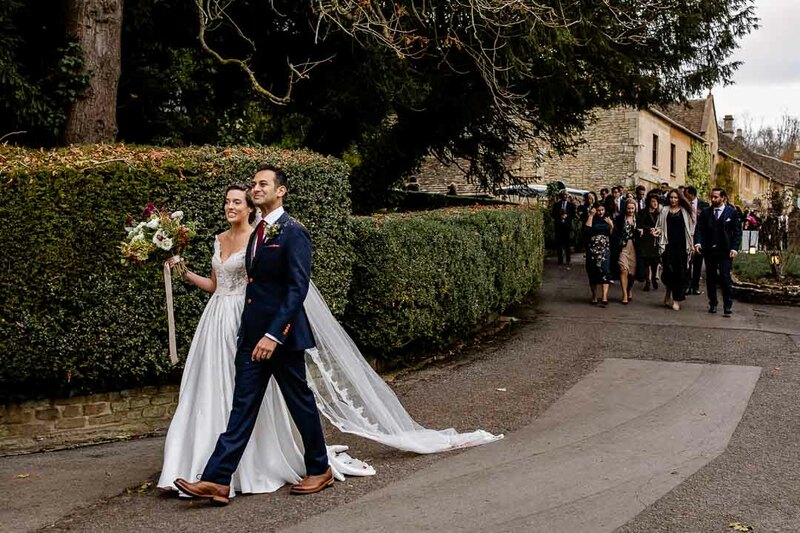 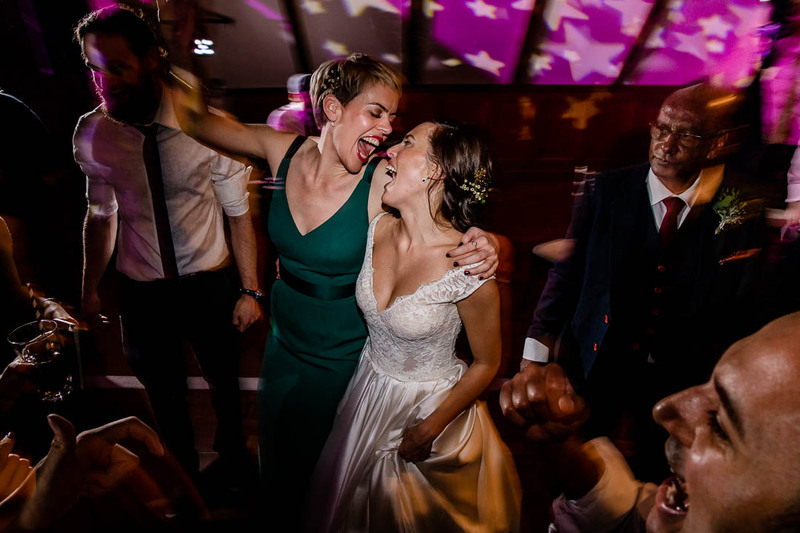 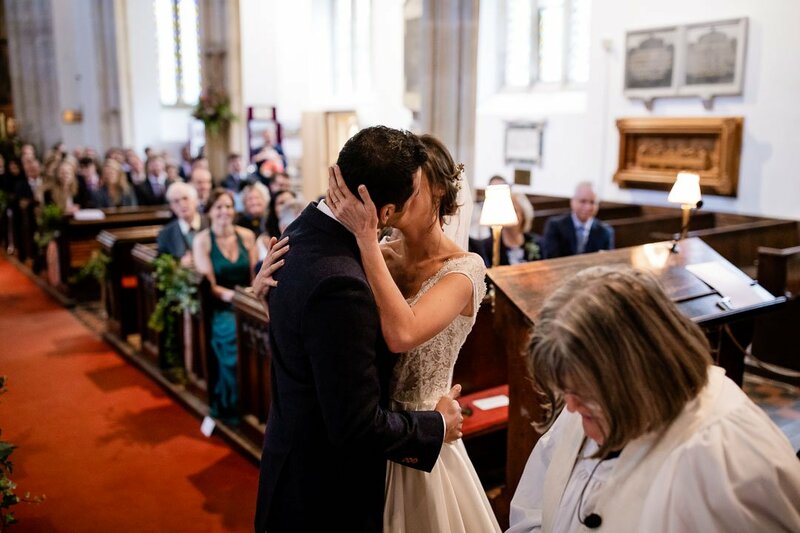 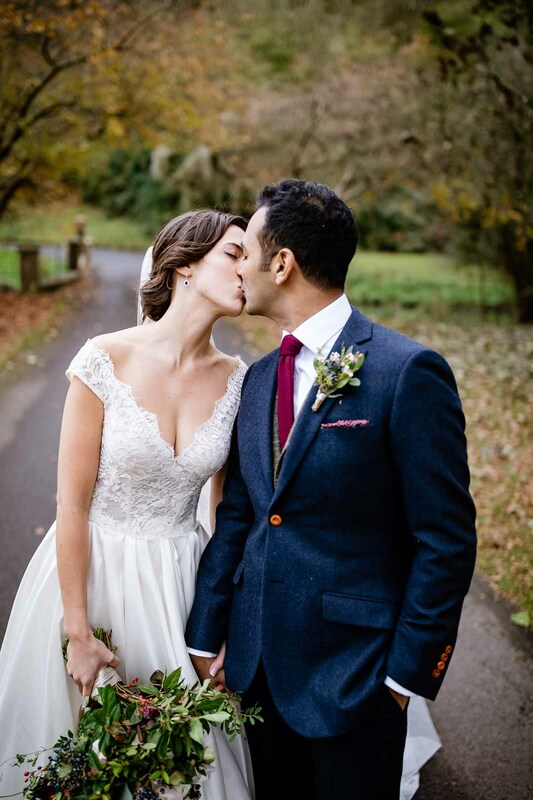 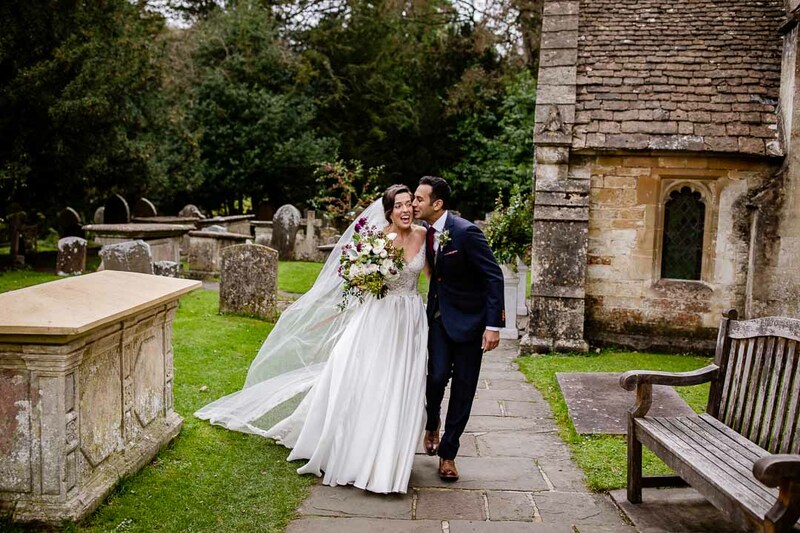 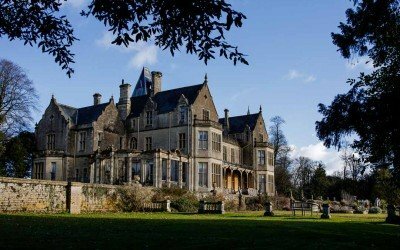 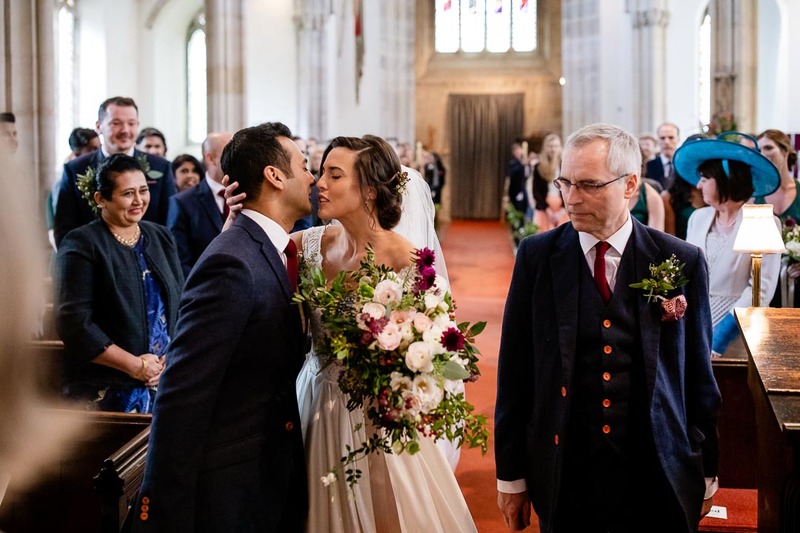 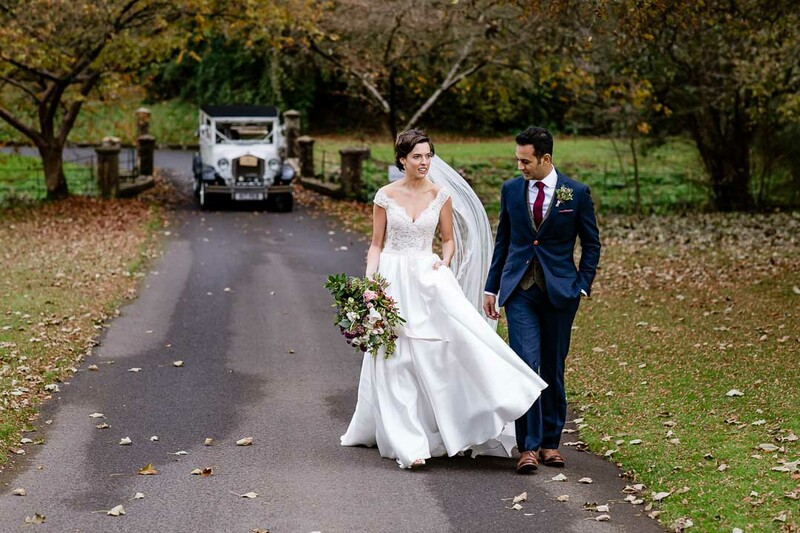 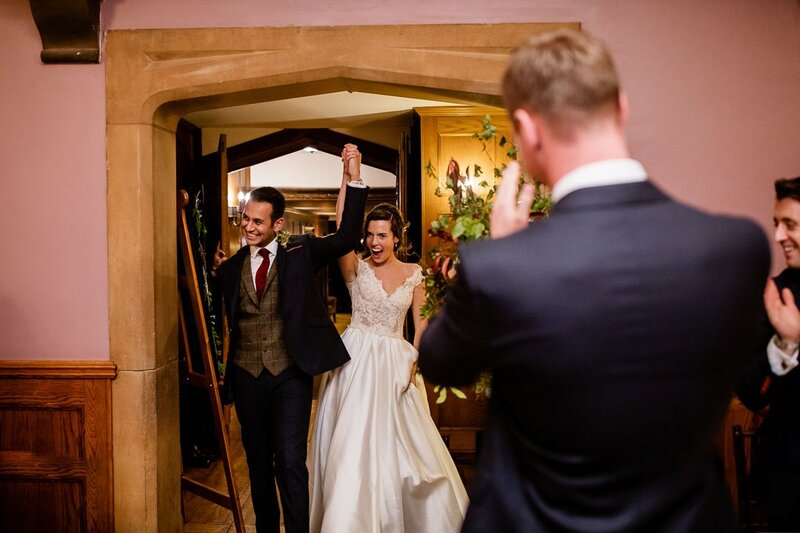 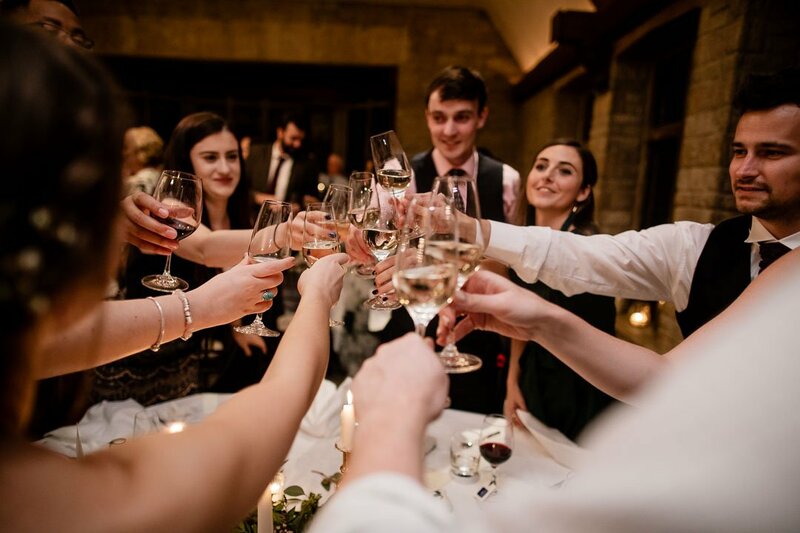 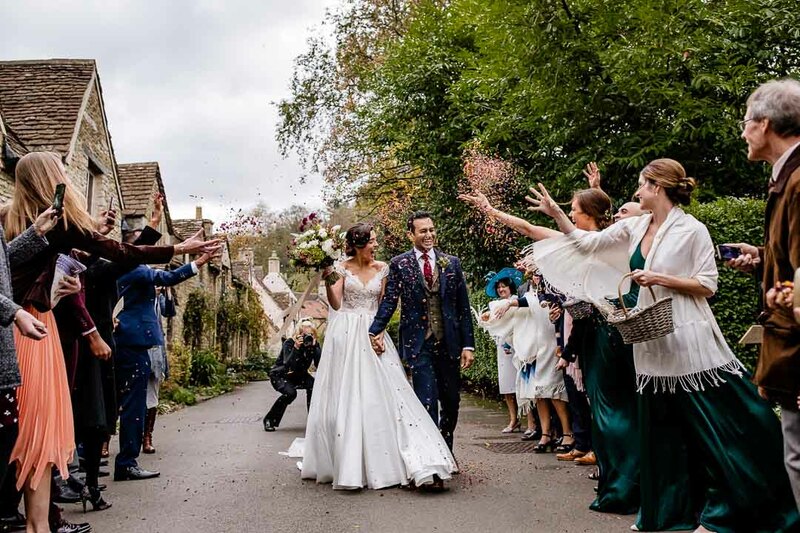 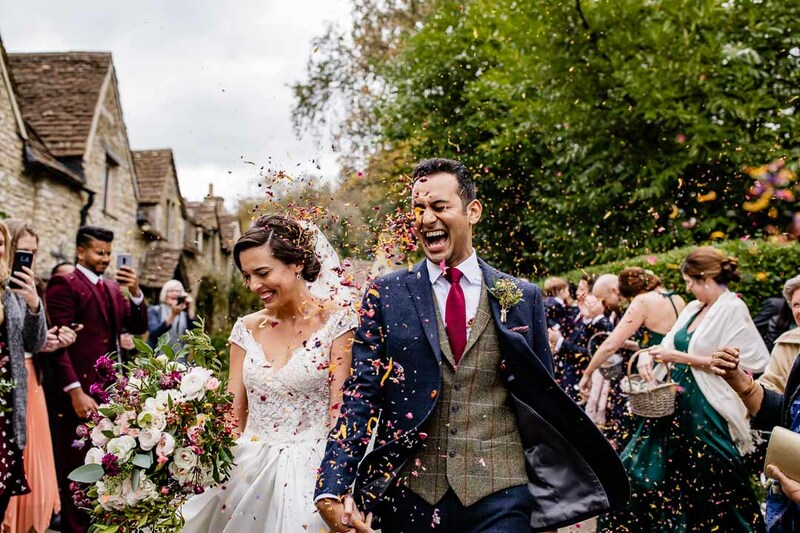 In early November, I had the pleasure of being the photographer at The Manor House Hotel in Castle Combe, Wiltshire for Jess and Marvin’s wedding. 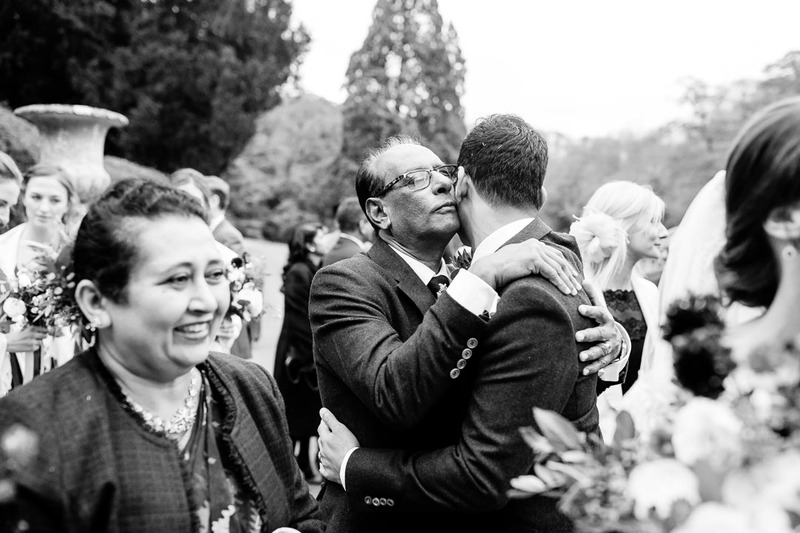 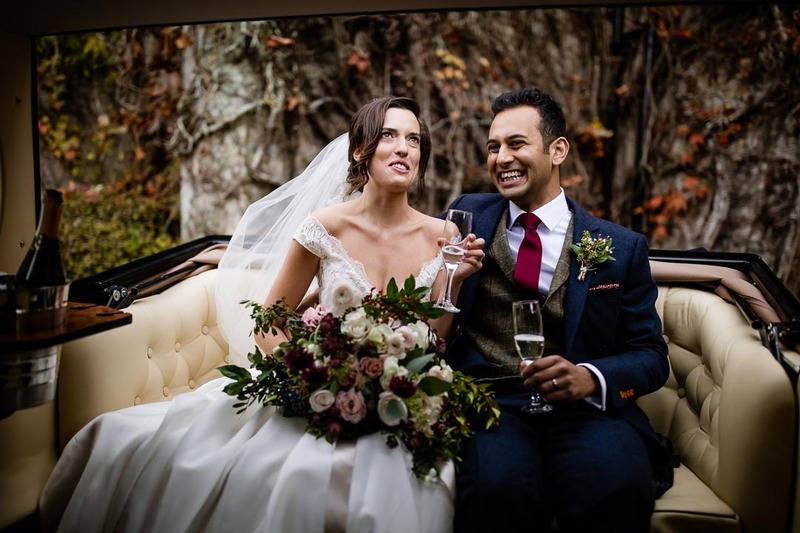 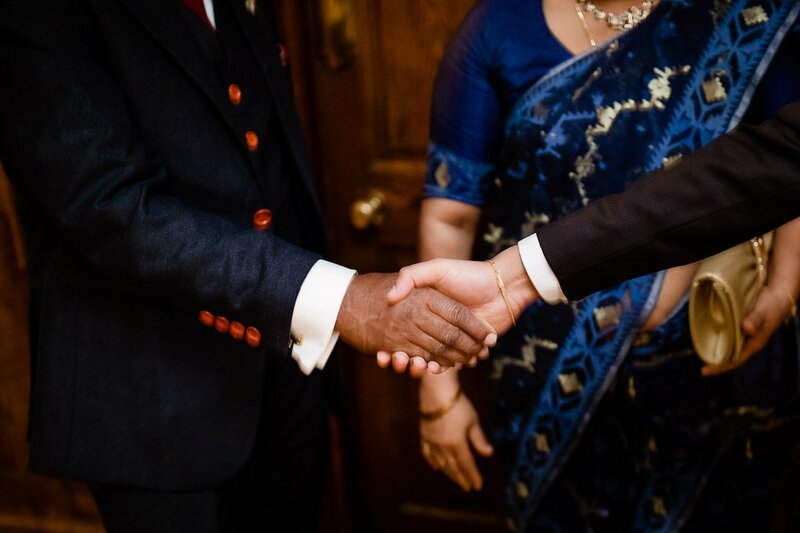 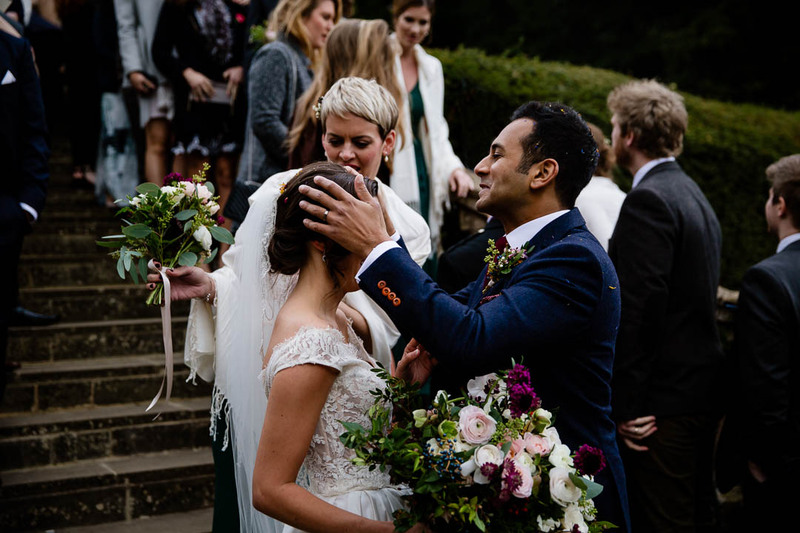 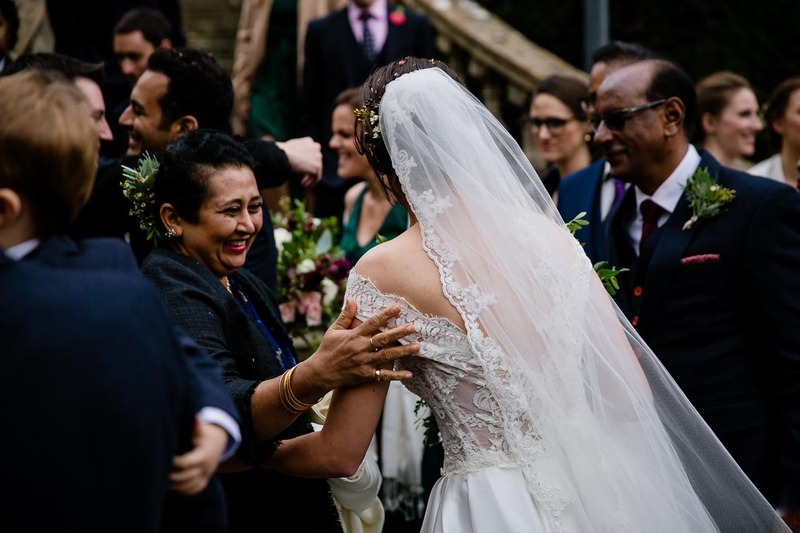 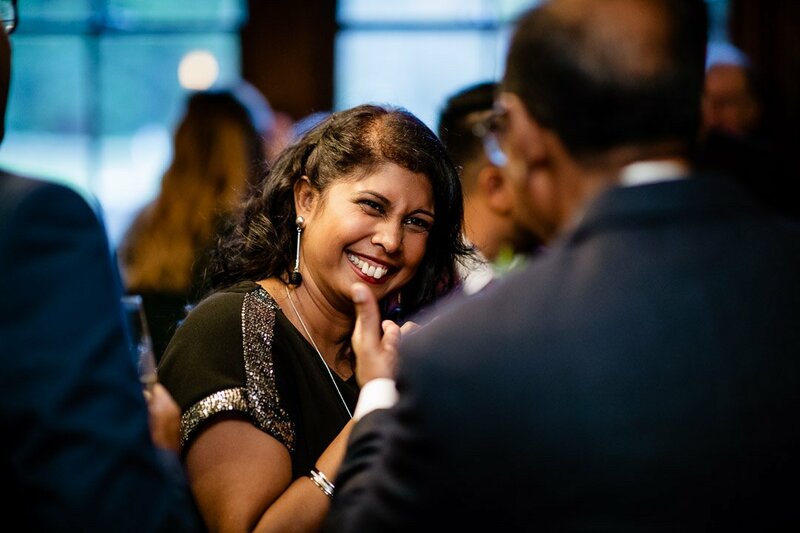 It’s always great to see friends and family travel a long way to join in with a couple’s special day, and much of Marv’s family came all the way from Sri Lanka for this beautiful autumn event. 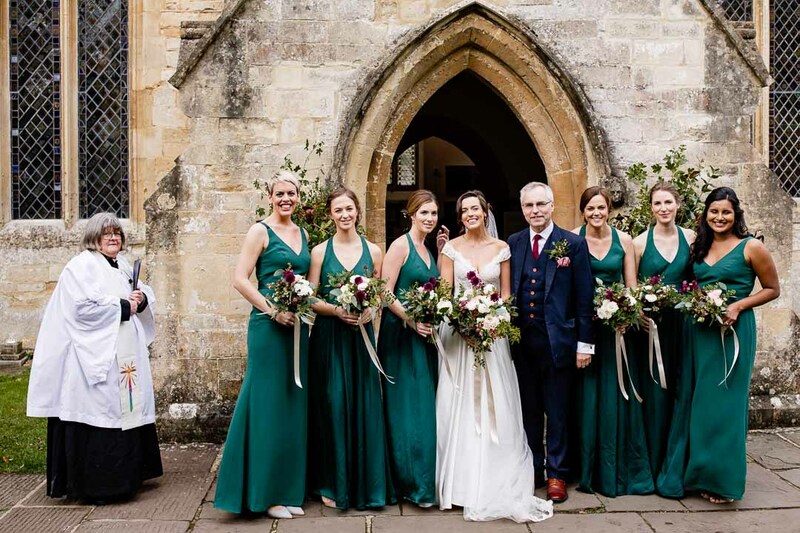 I shot at three locations for this one, starting with Jess’s parents lovely home in Somerford Keynes, Cirencester, where she got ready with her bridesmaids. 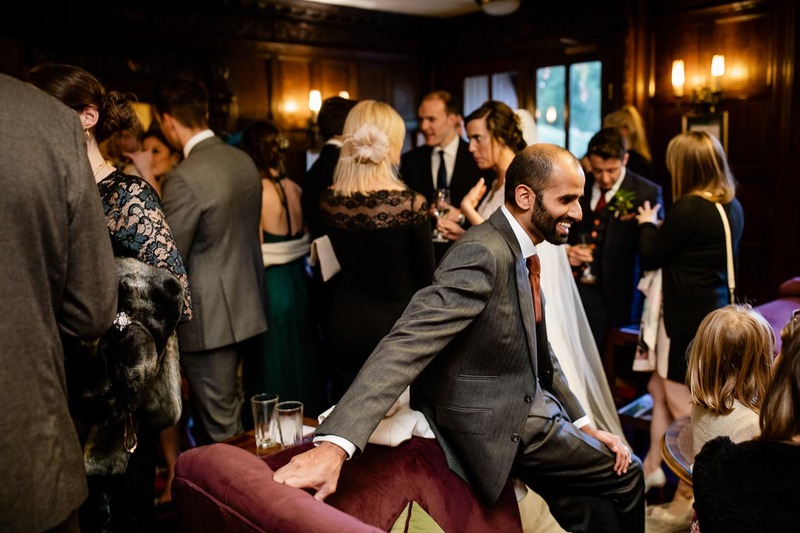 It was glasses of bubbly and matching dressing gowns all around, along with plenty of smiles and laughter. 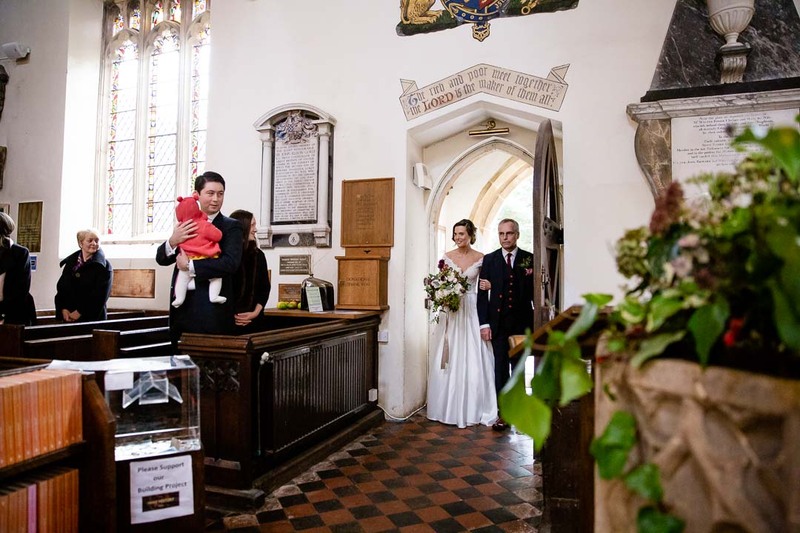 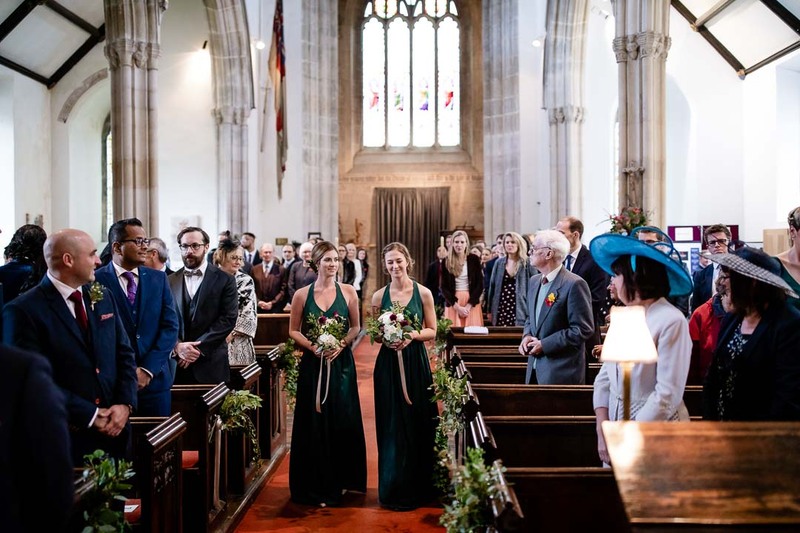 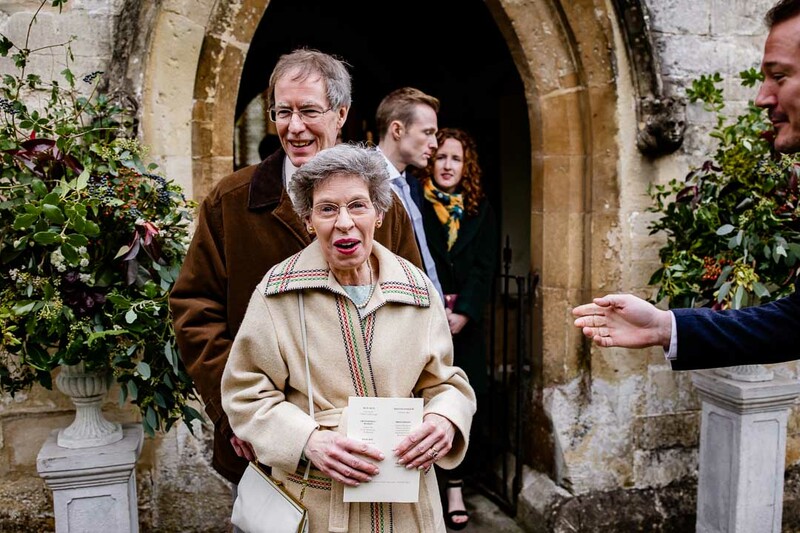 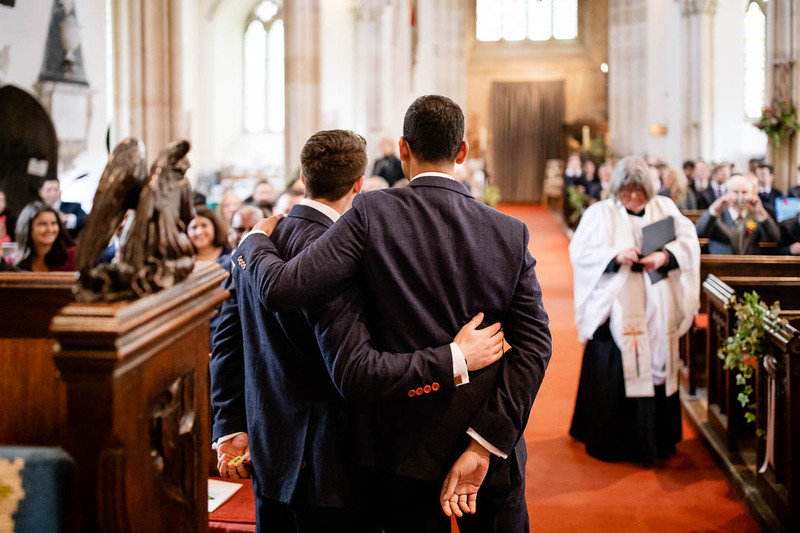 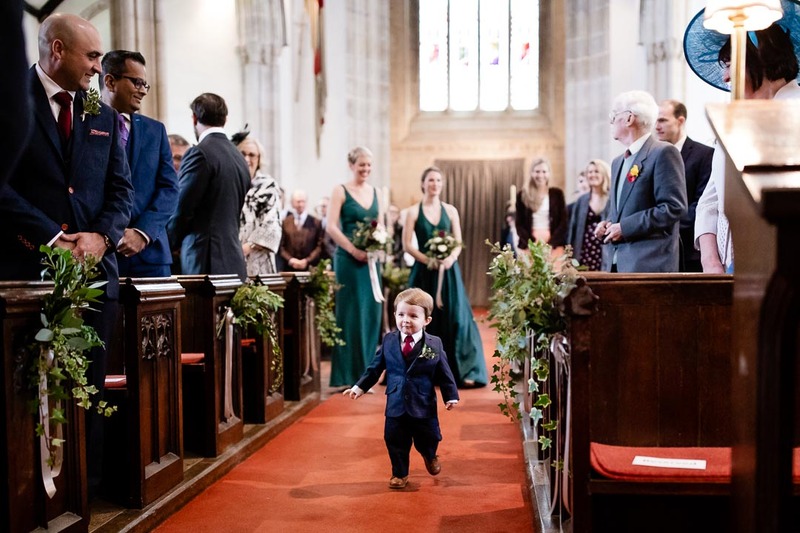 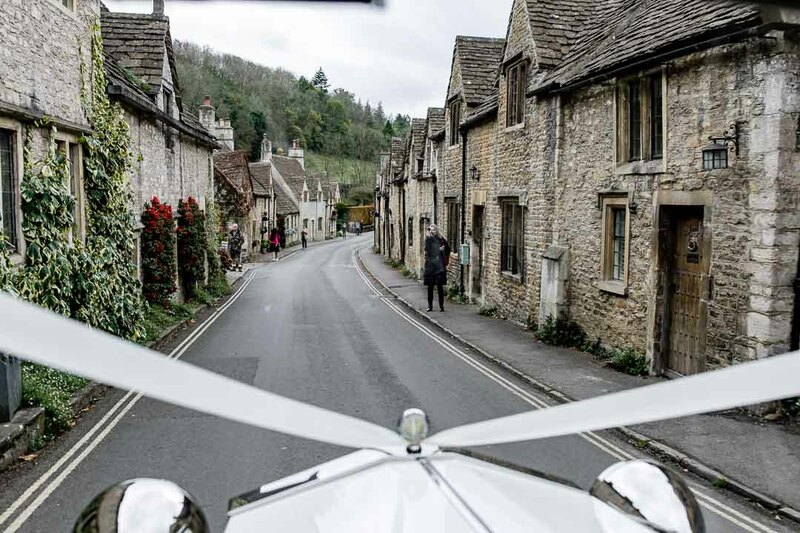 A short trip to Castle Combe got everyone to St Andrew’s Church on time for the ceremony, where groom Marv was waiting. 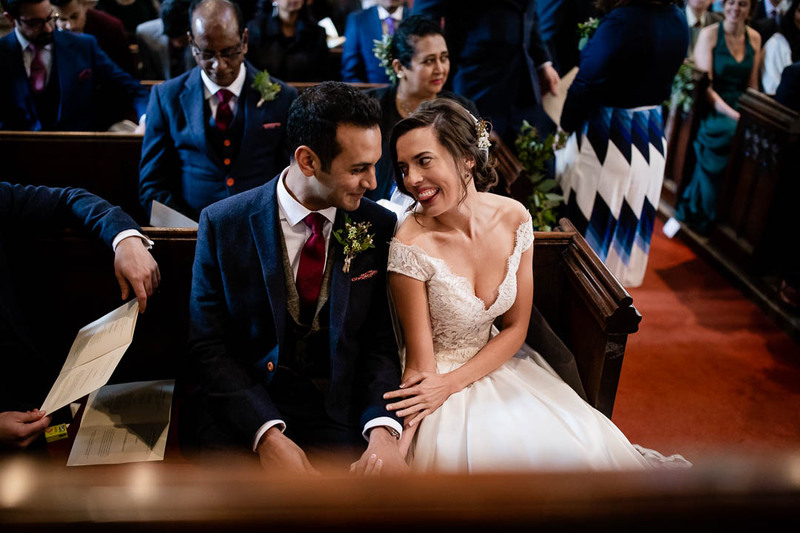 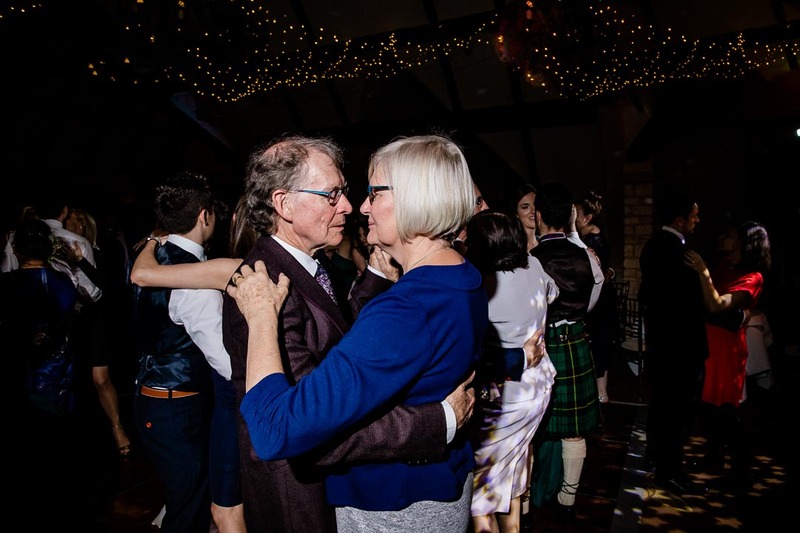 The ceremony was beautiful, and it was immediately obvious just how in love Jess and Marv are with each other. 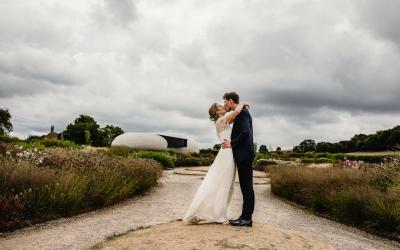 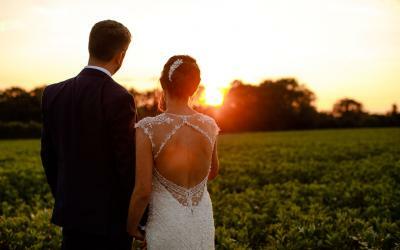 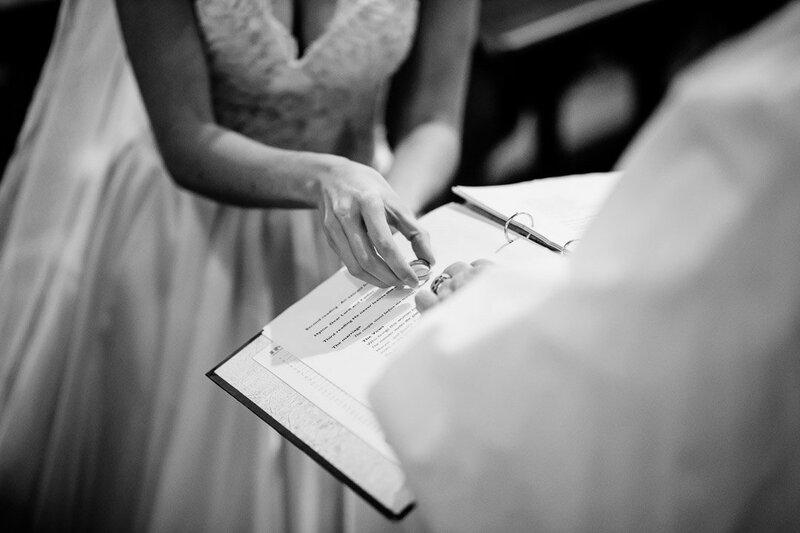 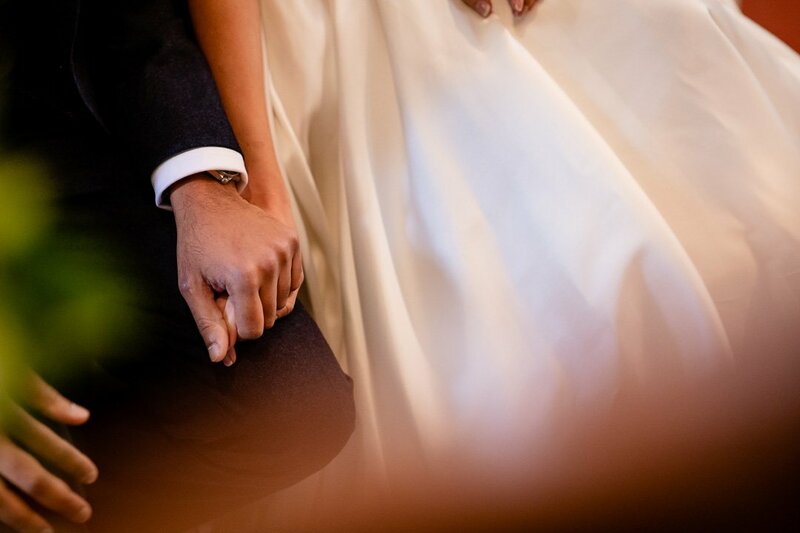 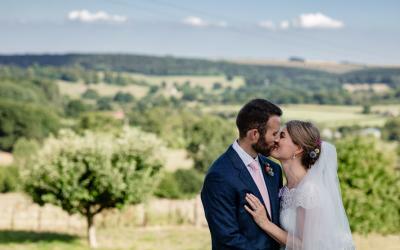 Their love really shined through, making them a lovely couple to watch and to photograph. 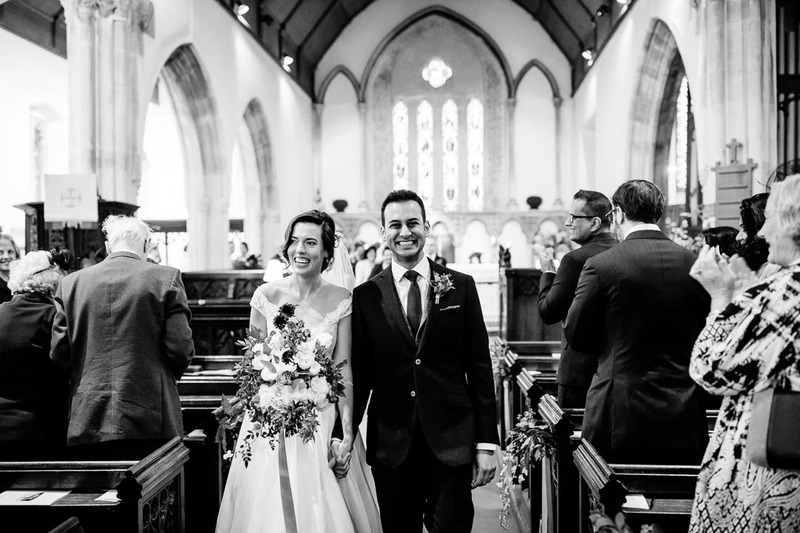 After the ceremony, they left the church under a tunnel of confetti, which always makes for some fun shots. 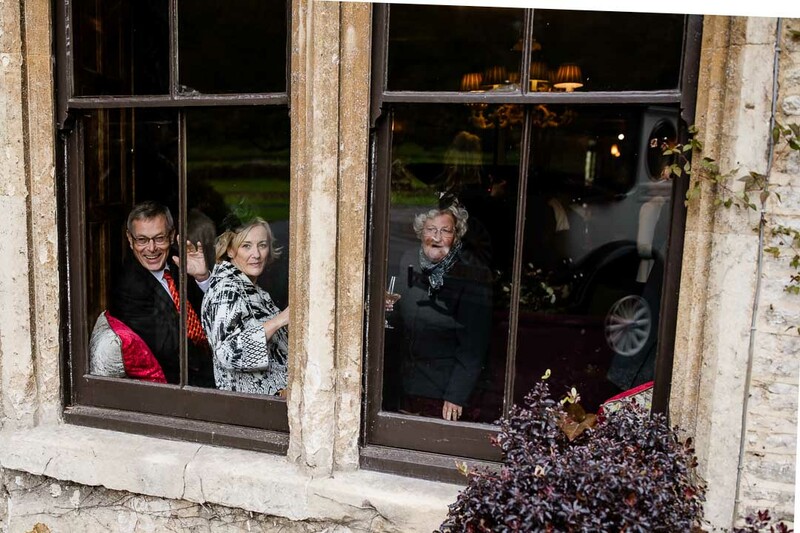 I gathered the guests for some group photos too, as well as getting some casual frames of everyone celebrating. 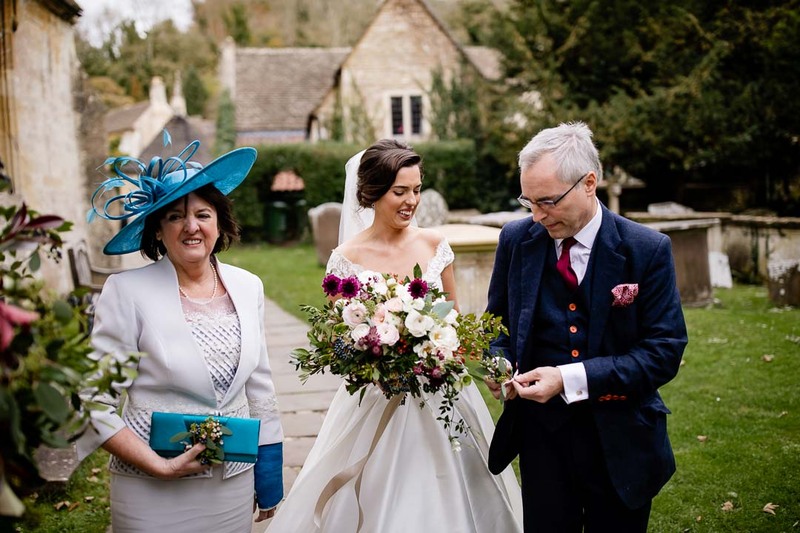 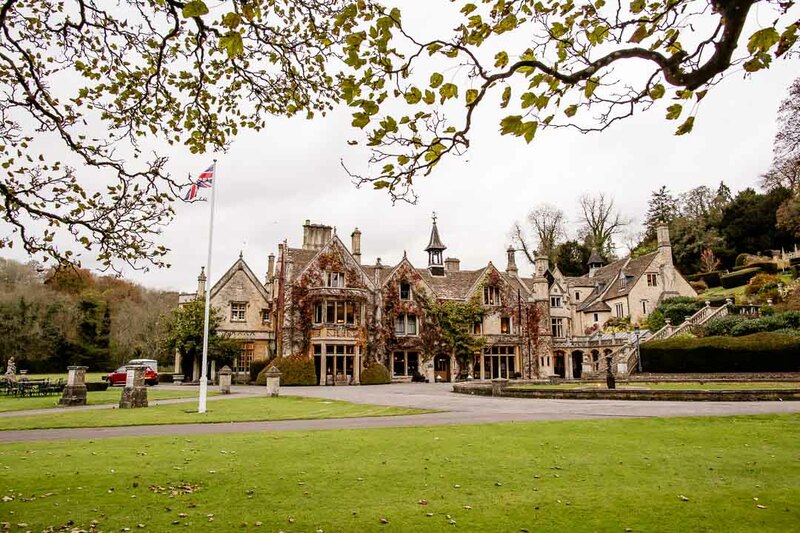 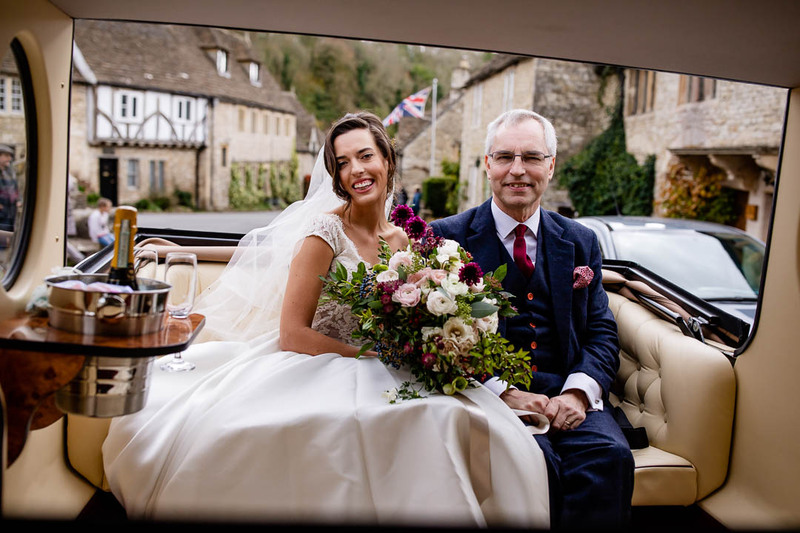 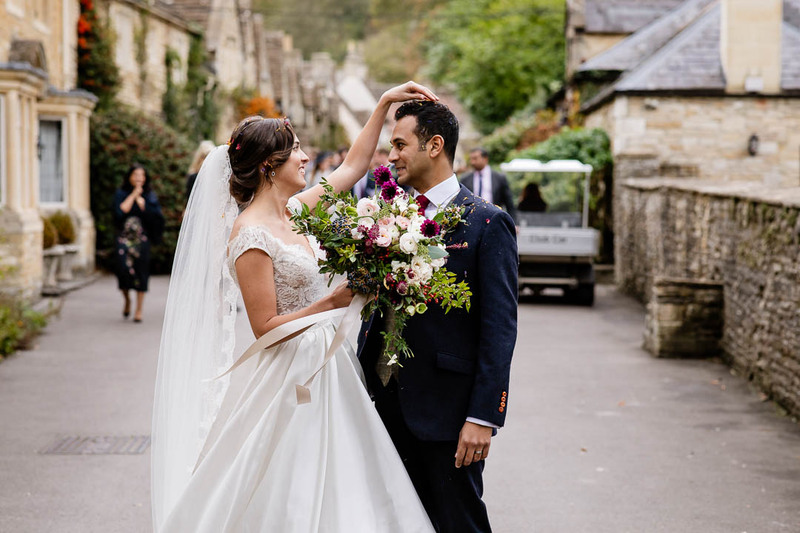 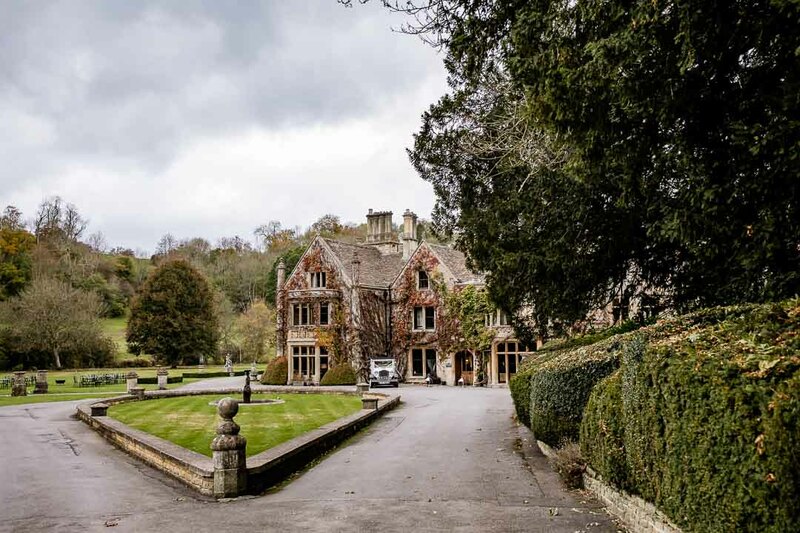 A ride around Castle Combe in the bridal car gave us a chance to stop at some pretty spots and take some portraits of the happy couple, before moving onto the stunning Manor House Hotel. 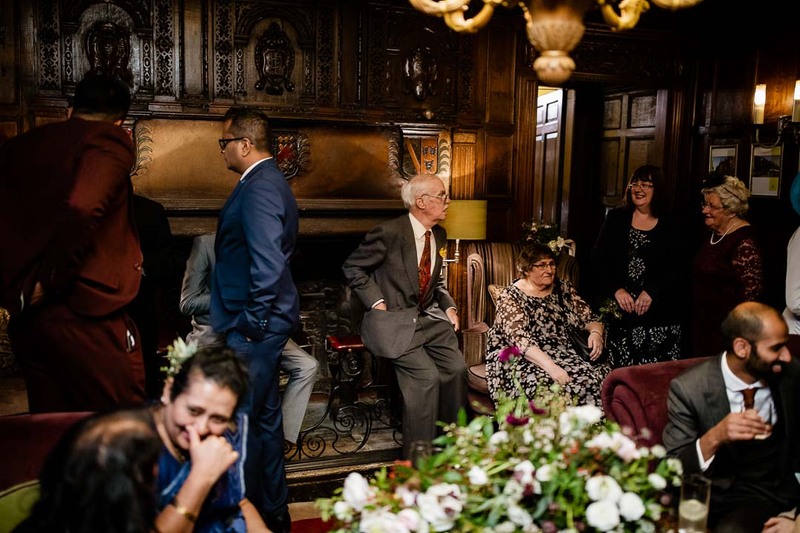 With low fires on in the cosy reception rooms, everyone got socialising and enjoyed the canapes on offer. 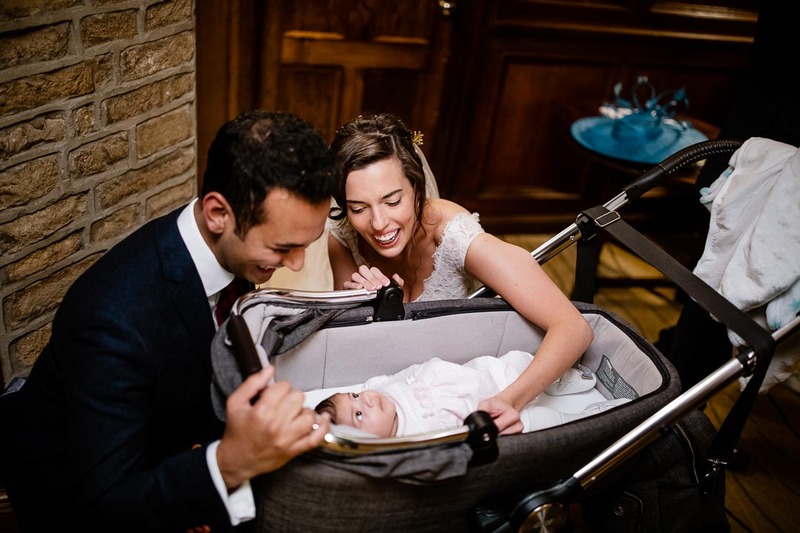 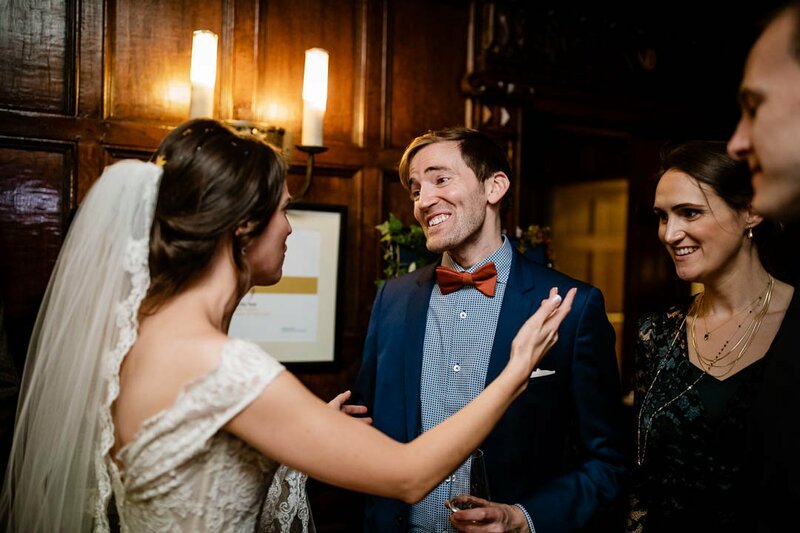 There was then a receiving line before entering the dining room so that both sides of the new family could be introduced. 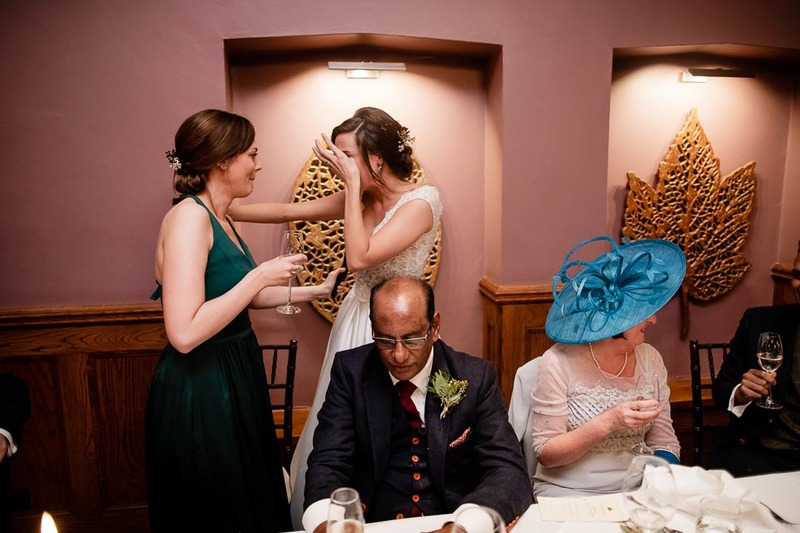 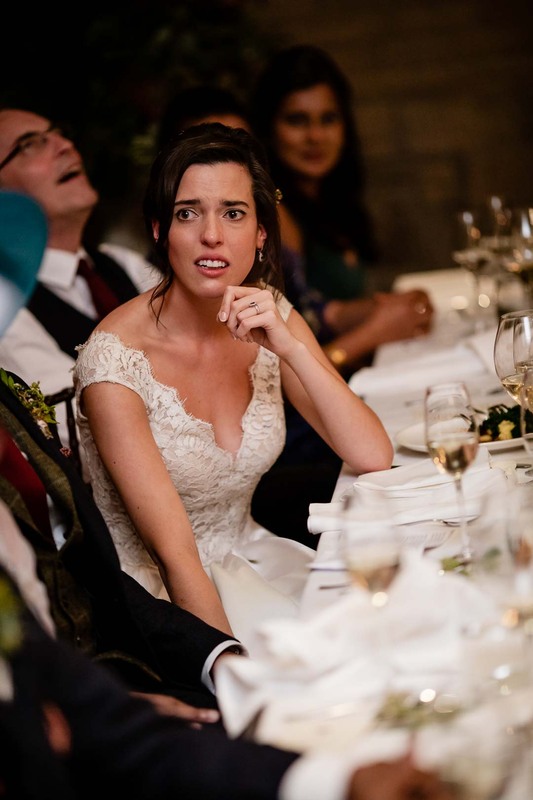 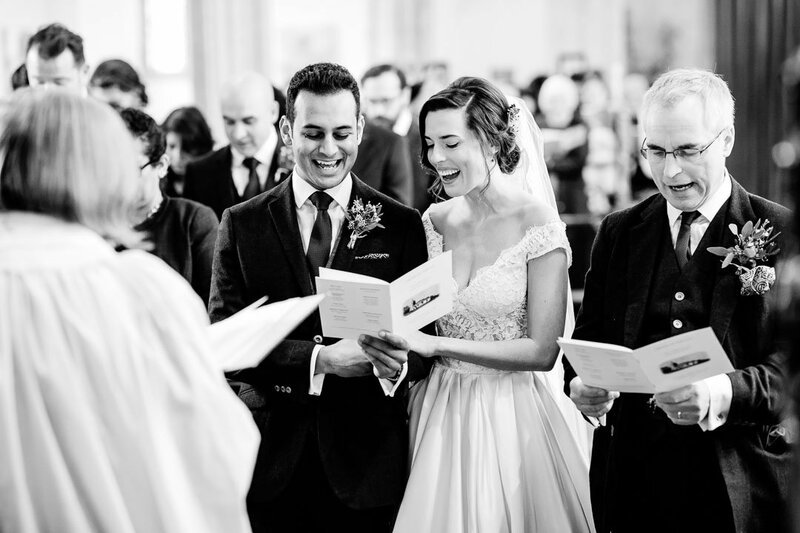 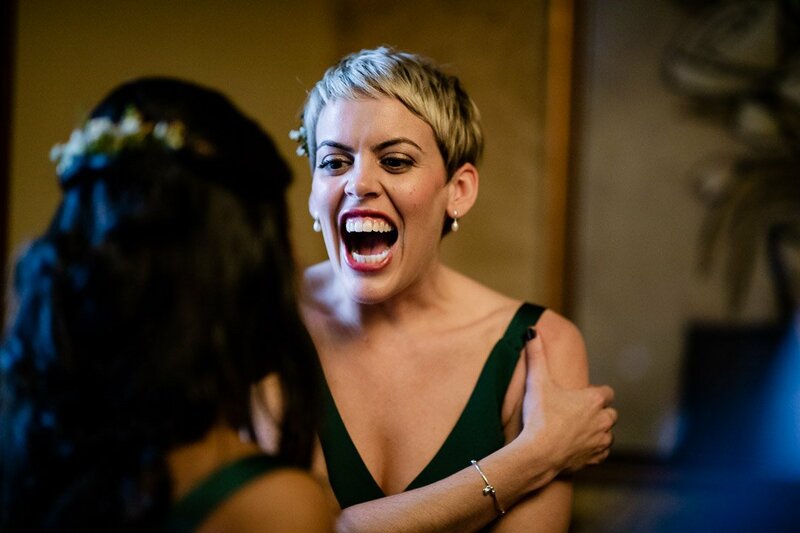 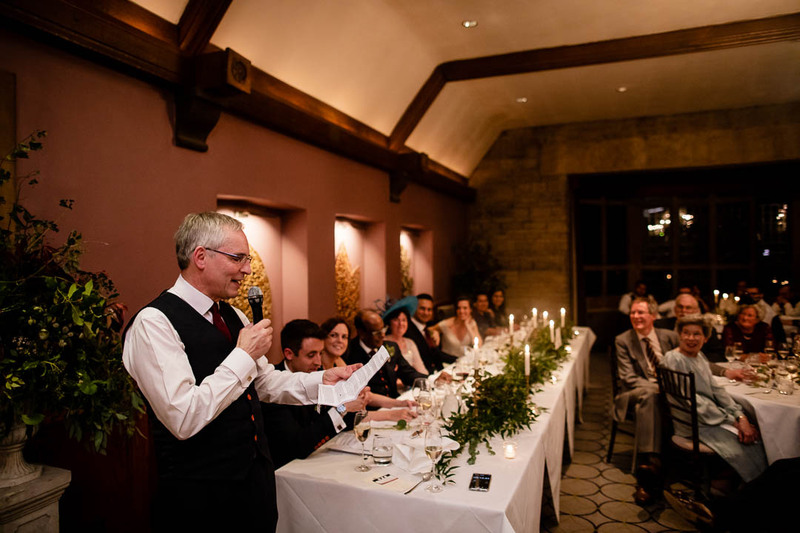 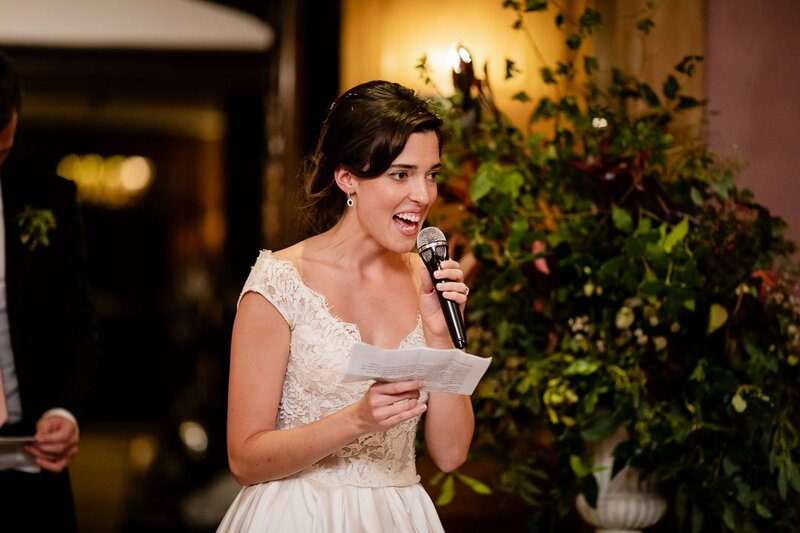 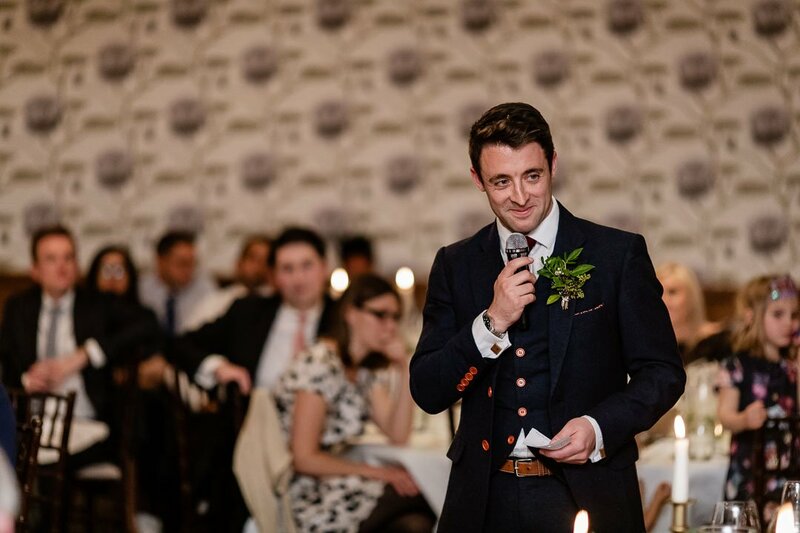 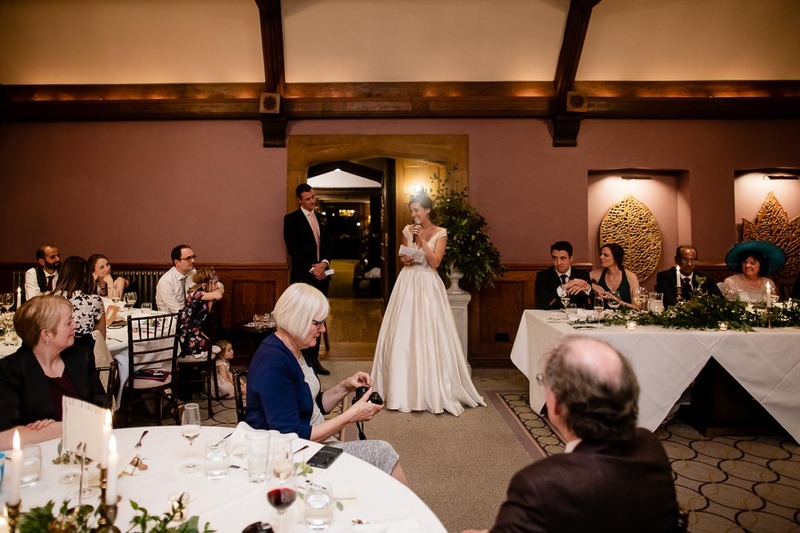 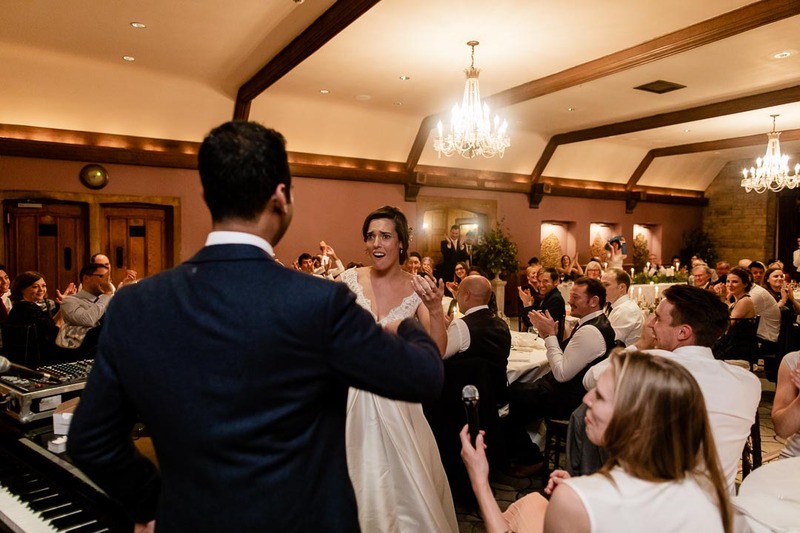 Speeches are always a big moment in any wedding, and Jess and Marv’s didn’t let anyone down. 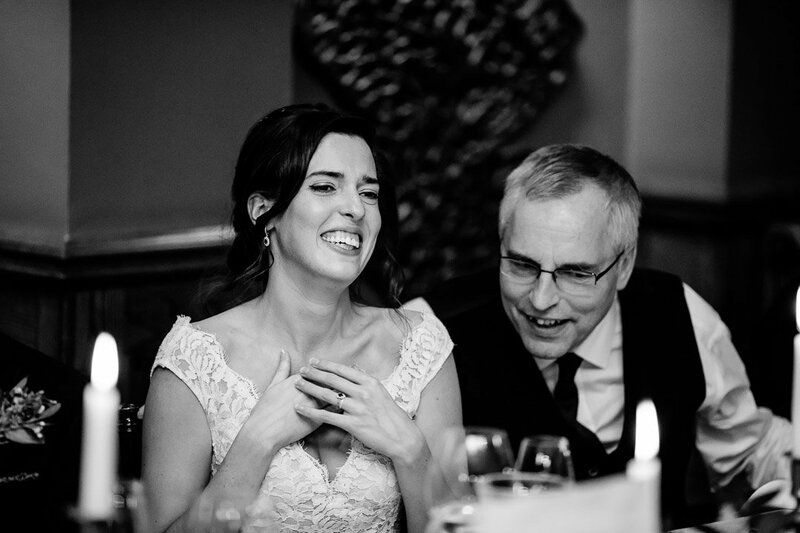 There were excellent speeches from Jess’s father, the best man, Jess herself, and Jess’s sister and maid of honour, who had the bride in tears with her words. 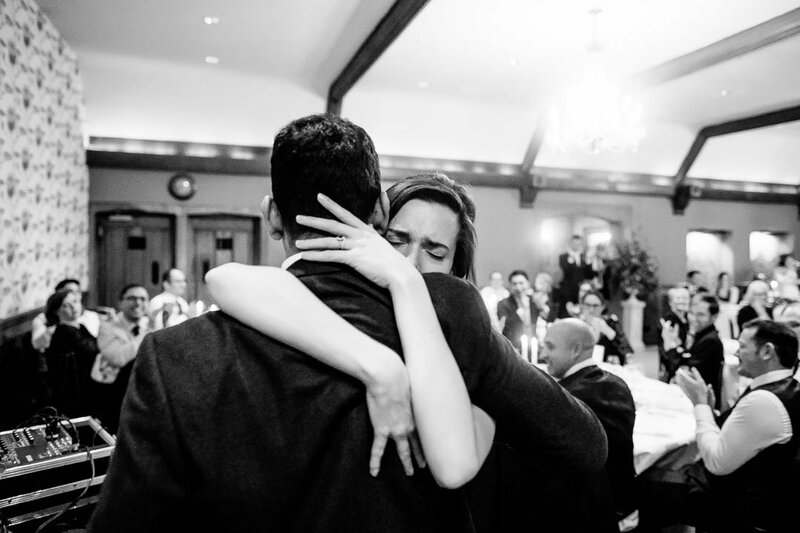 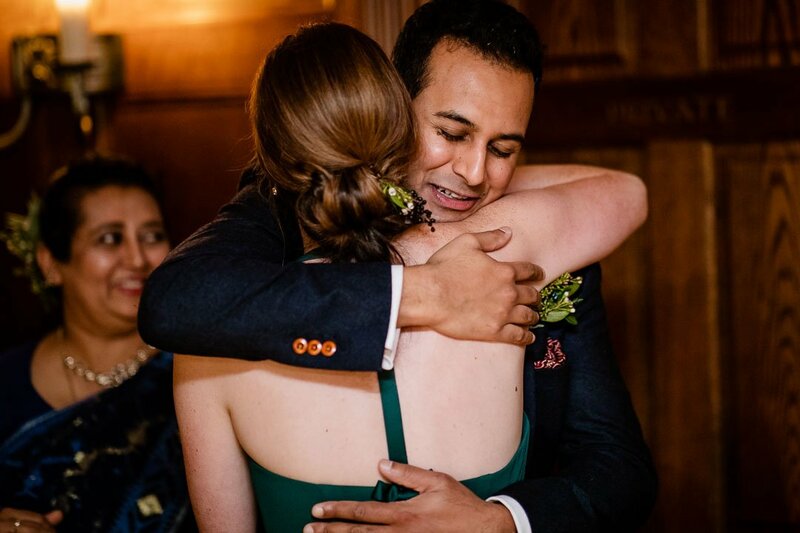 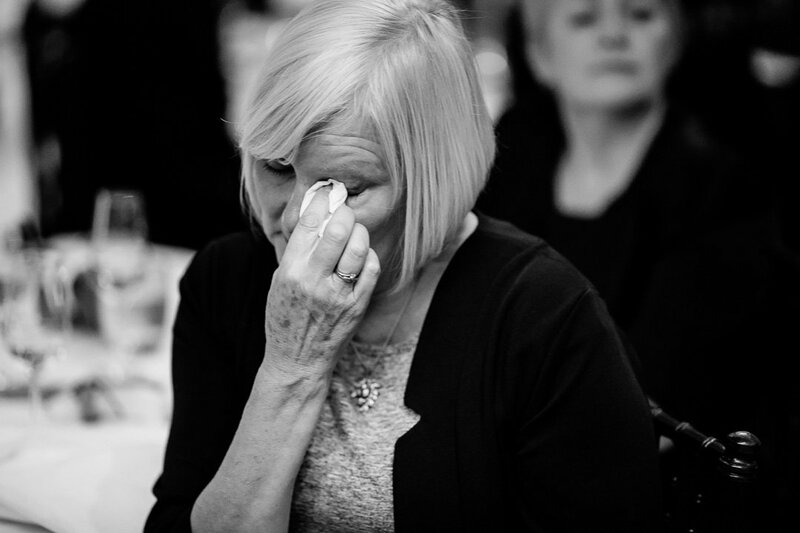 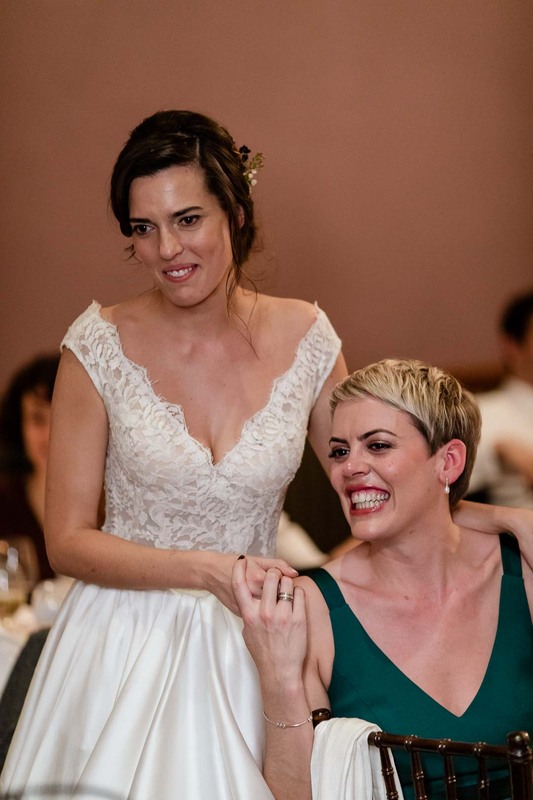 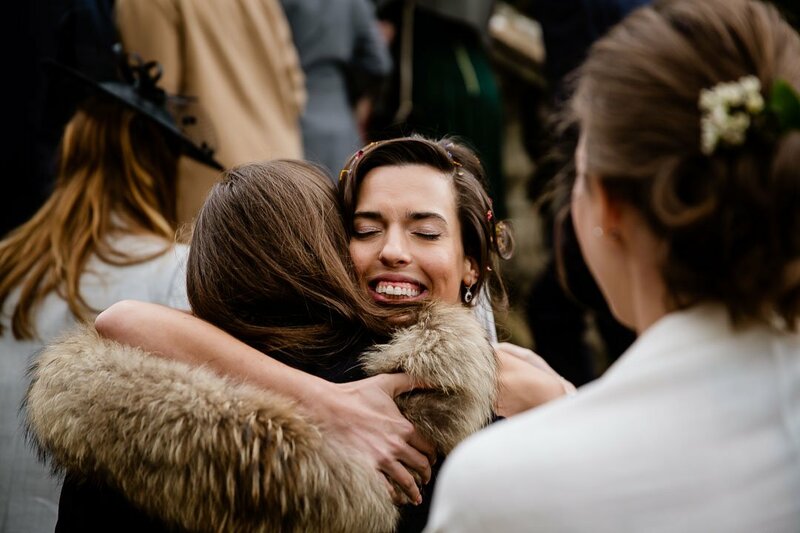 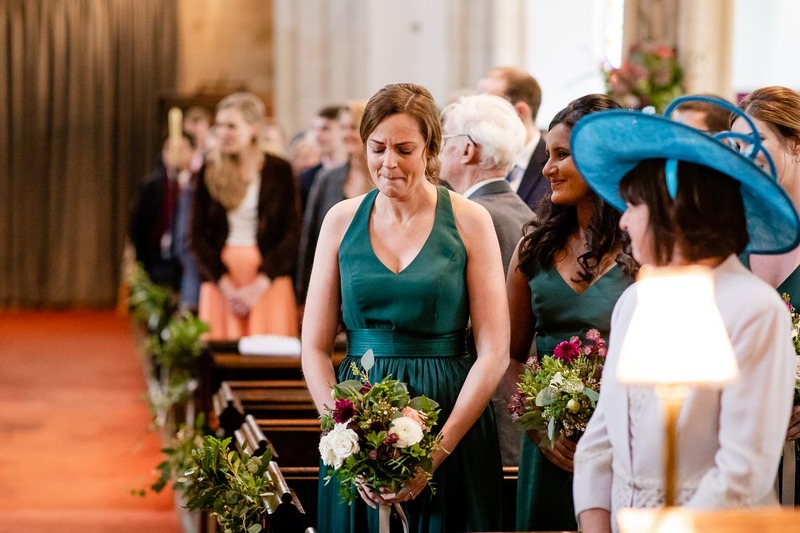 More touching moments were to come, with Jess brought to tears twice more by her new husband. 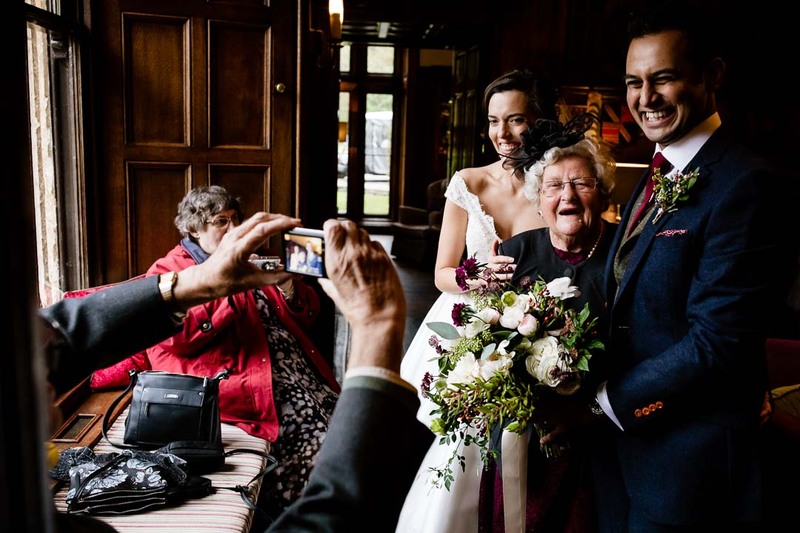 Marv played the piano and sang for Jess, and also gave her picture of the baby bunny he had bought her as a present! 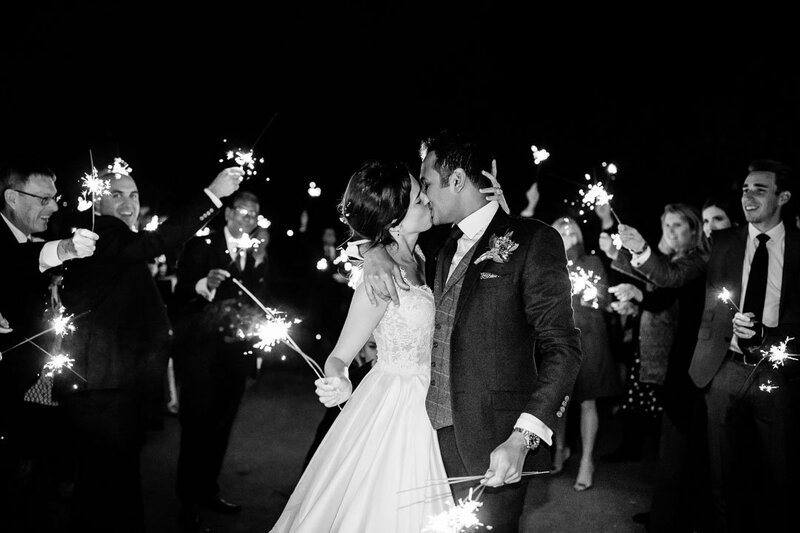 It was the 3rd of November, so everyone went outside for fun with sparklers as a pre-Bonfire Night celebration. 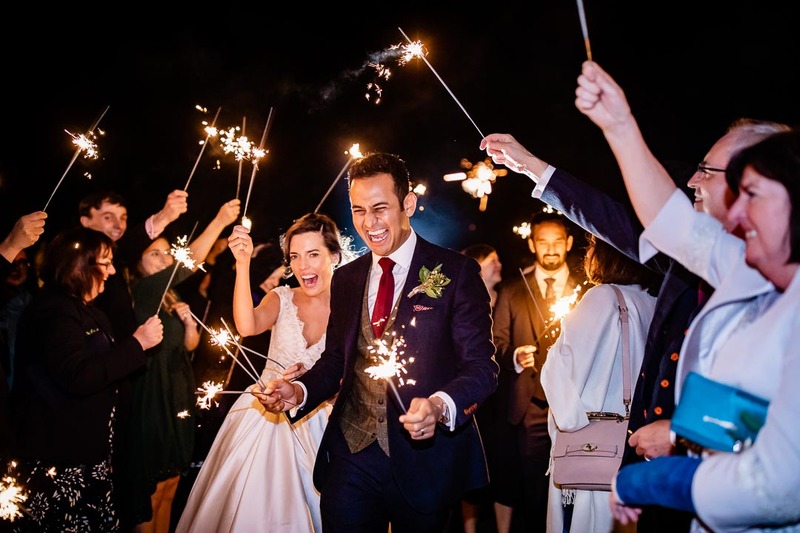 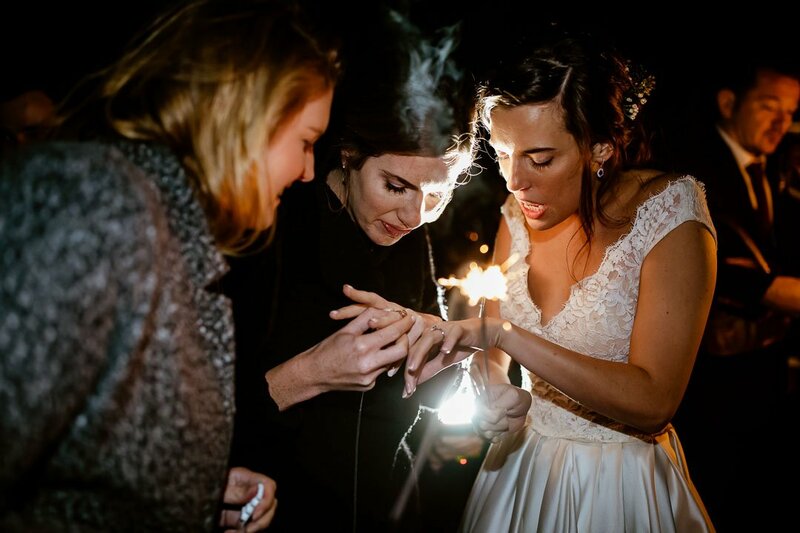 Sparkler shots are always exciting to capture, with lots of light and everyone enjoying themselves. 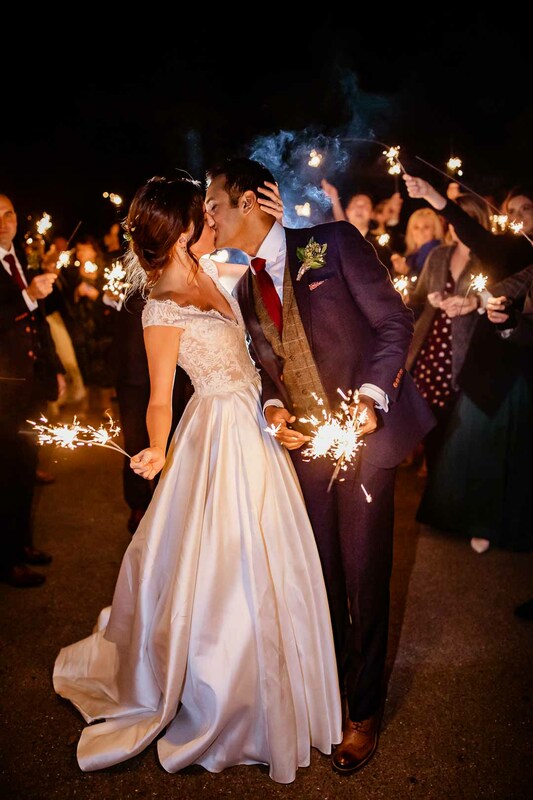 Who doesn’t love a sparkler? 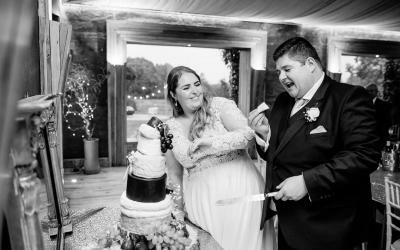 It also happened to be the birthday of one of the smaller guests, so there was a birthday cake and some singing to turn the day into a double celebration. 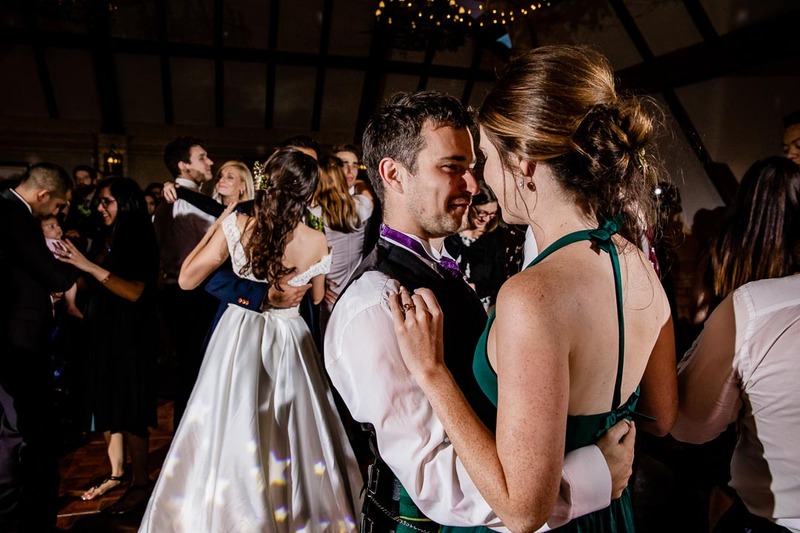 The first dance was beautiful, and everyone joined the newlyweds for a spin on the dancefloor afterwards. 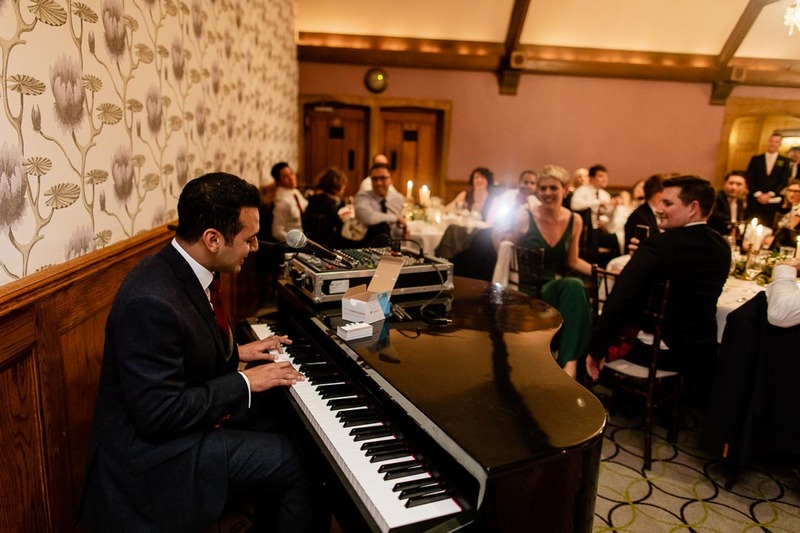 They had a musician playing the piano, who was taking requests – a great way to personalise the music – before a DJ took over later in the evening. 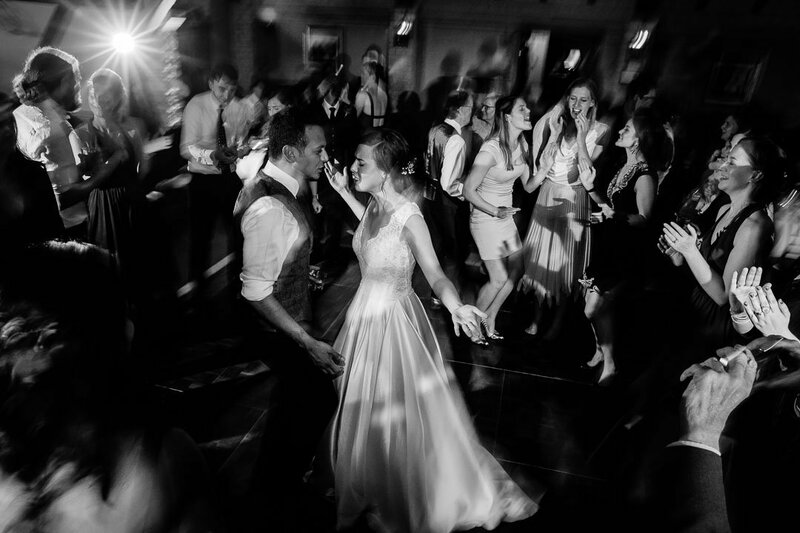 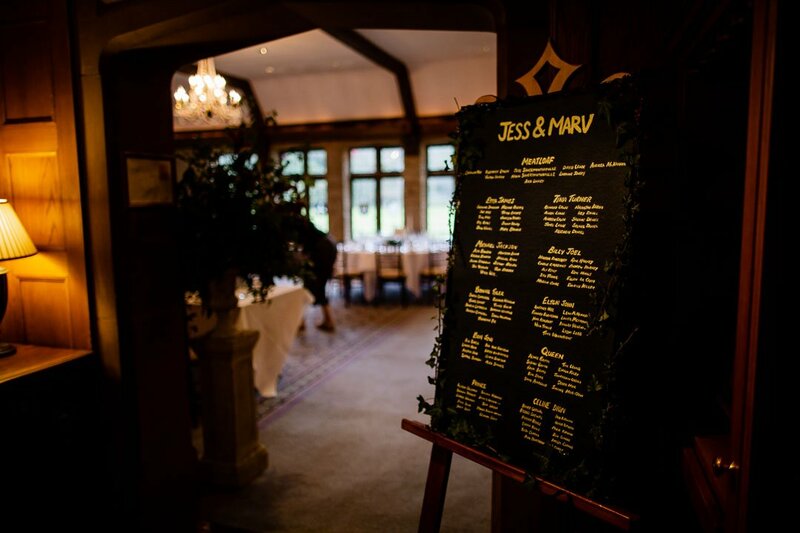 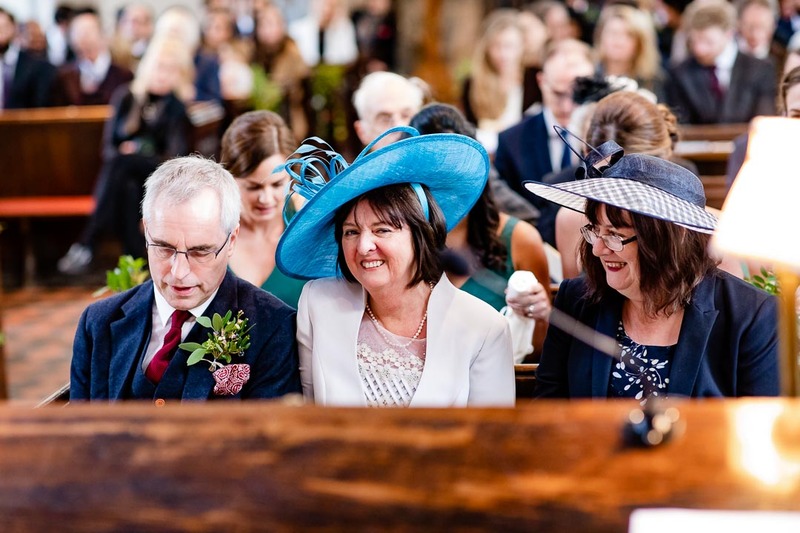 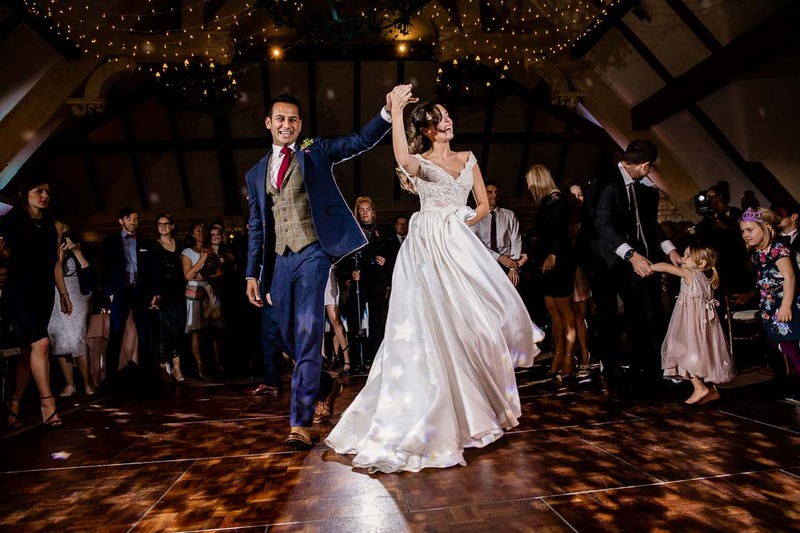 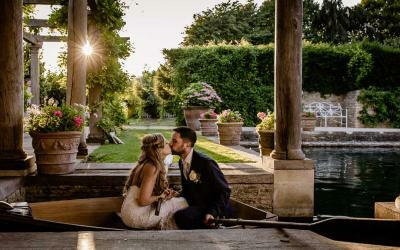 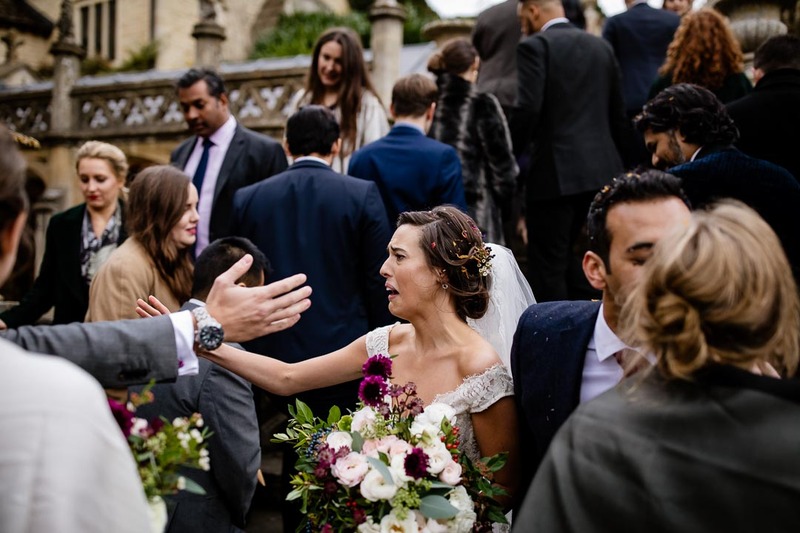 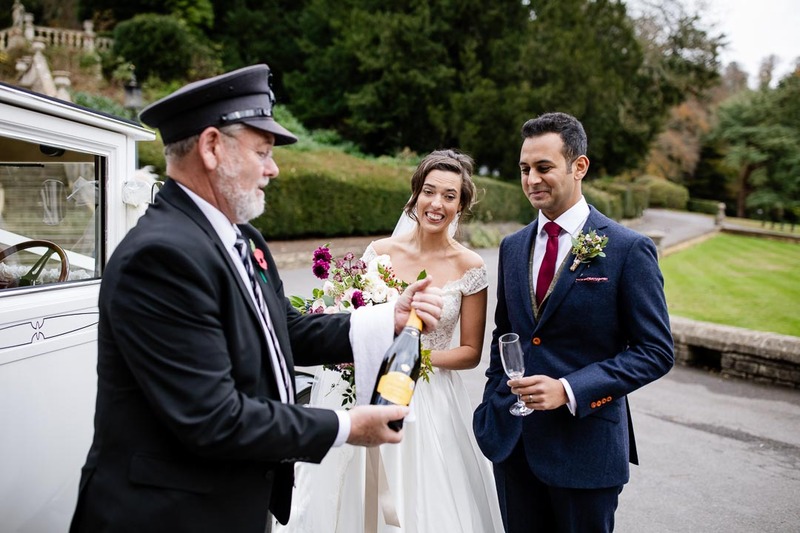 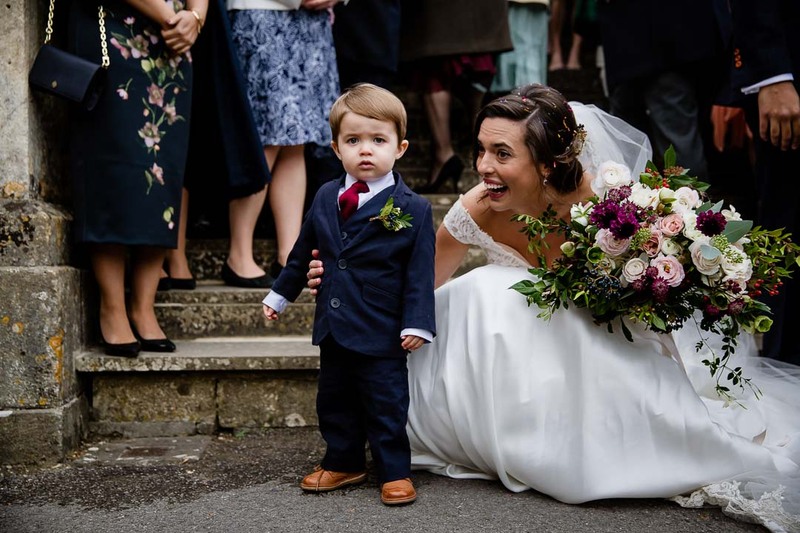 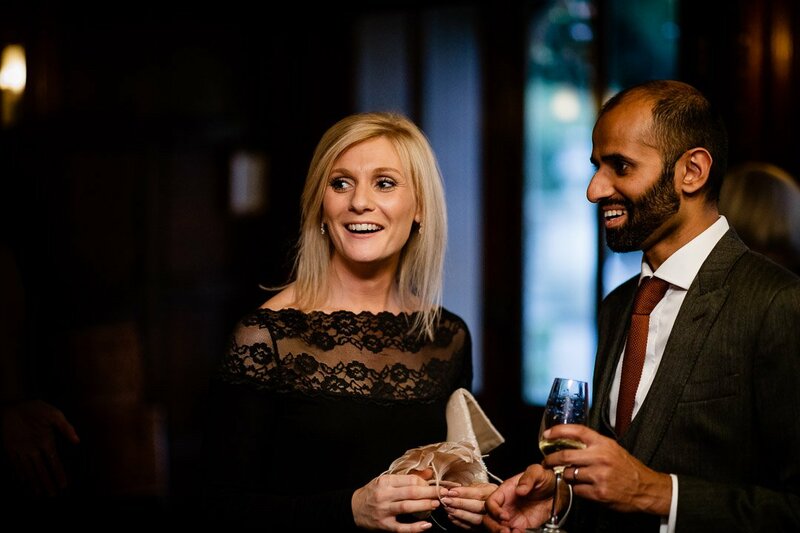 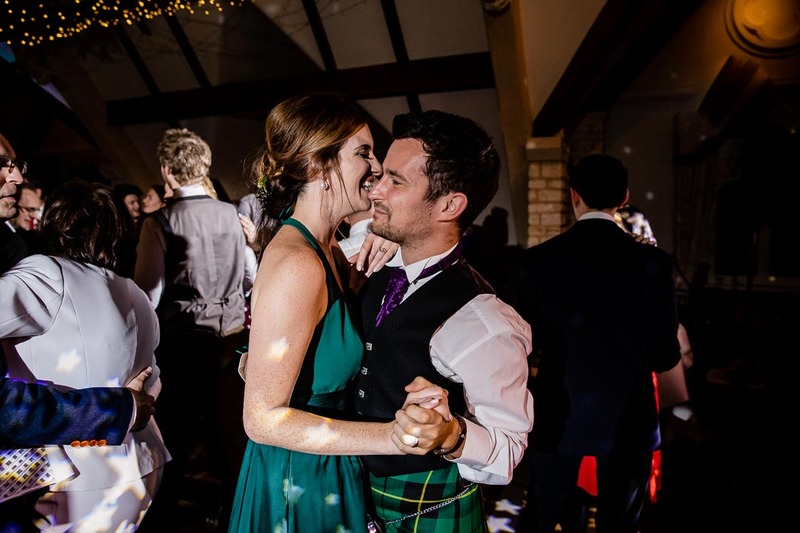 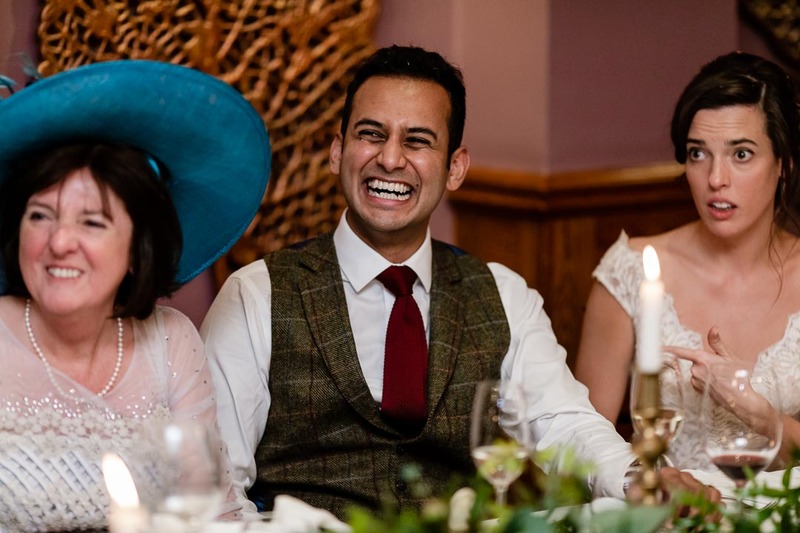 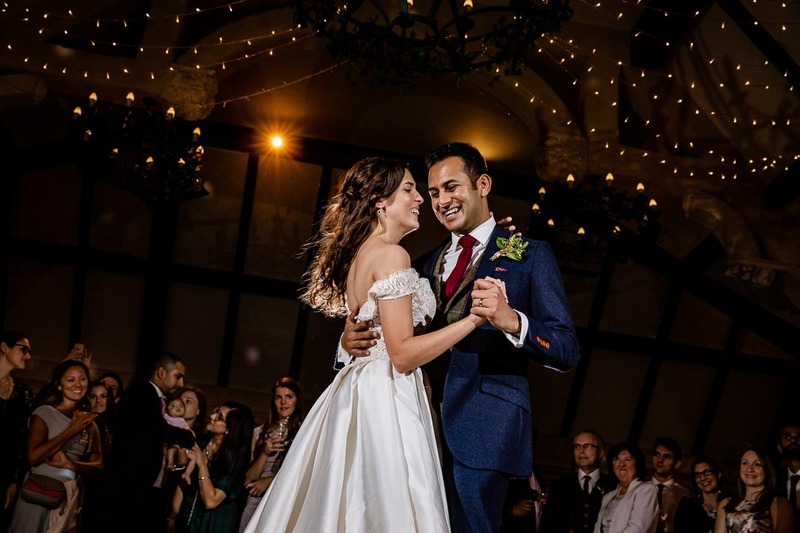 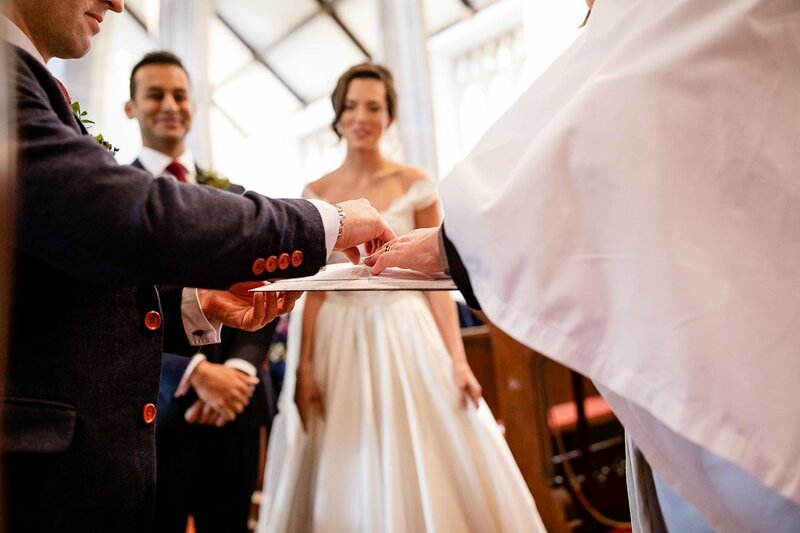 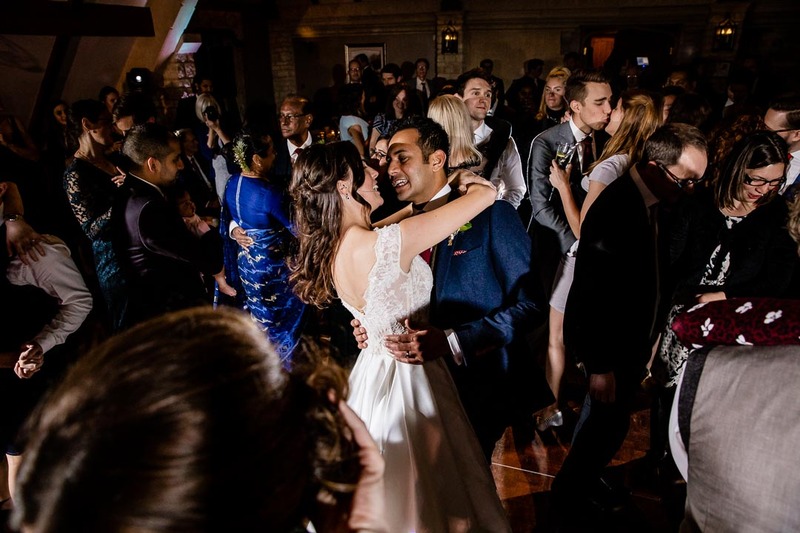 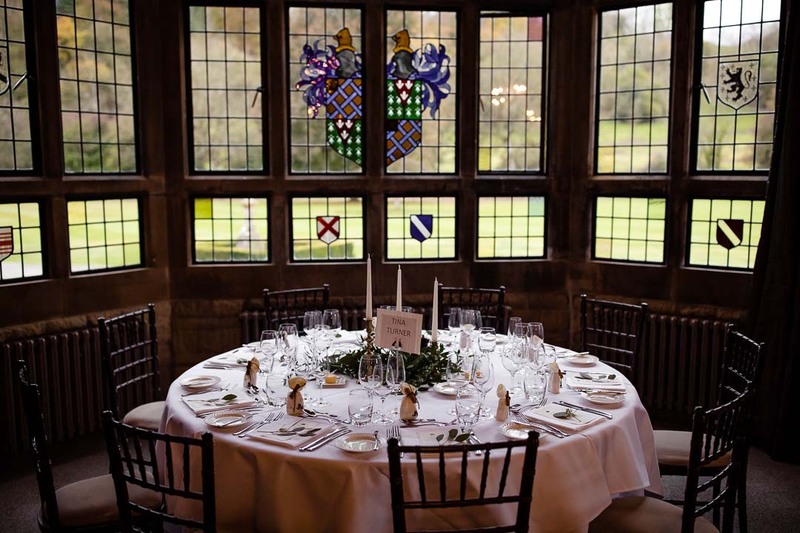 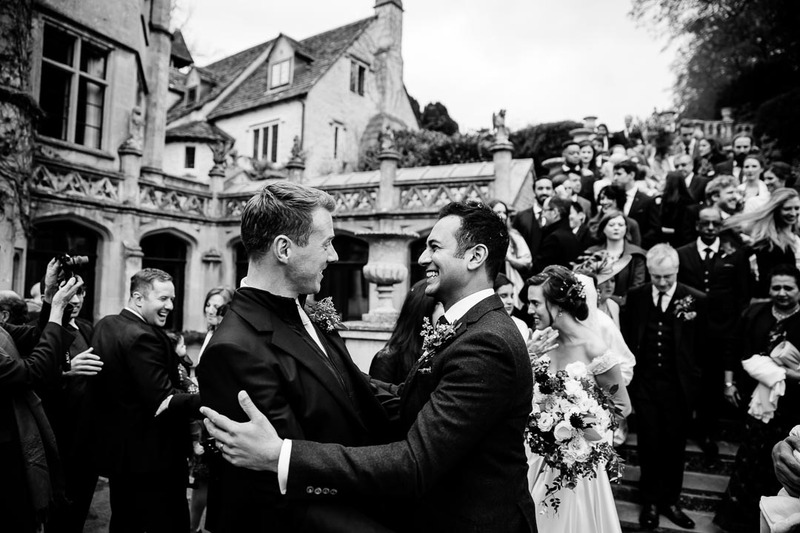 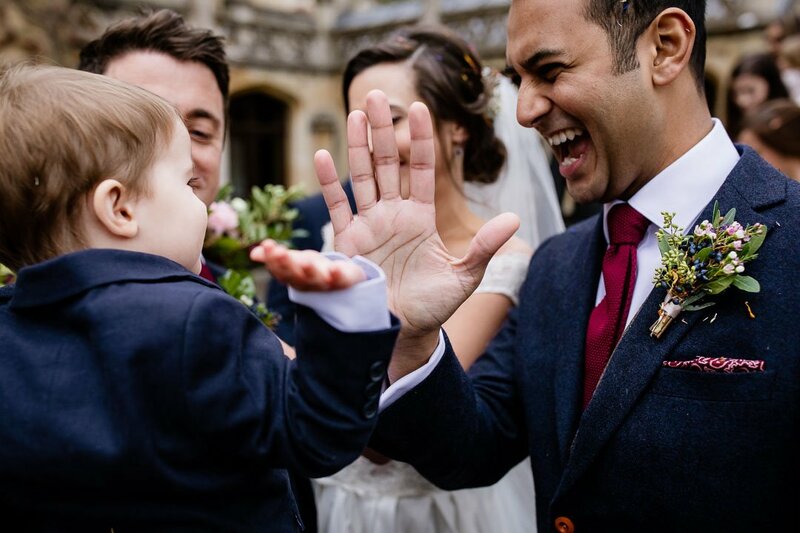 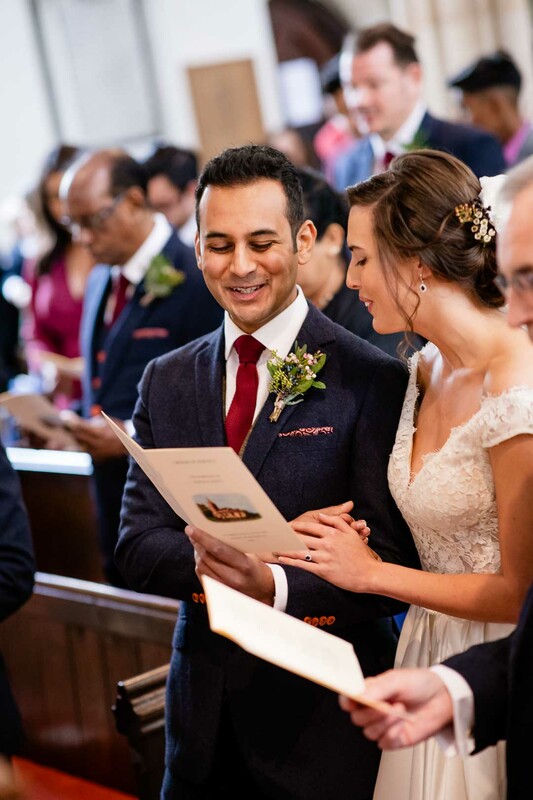 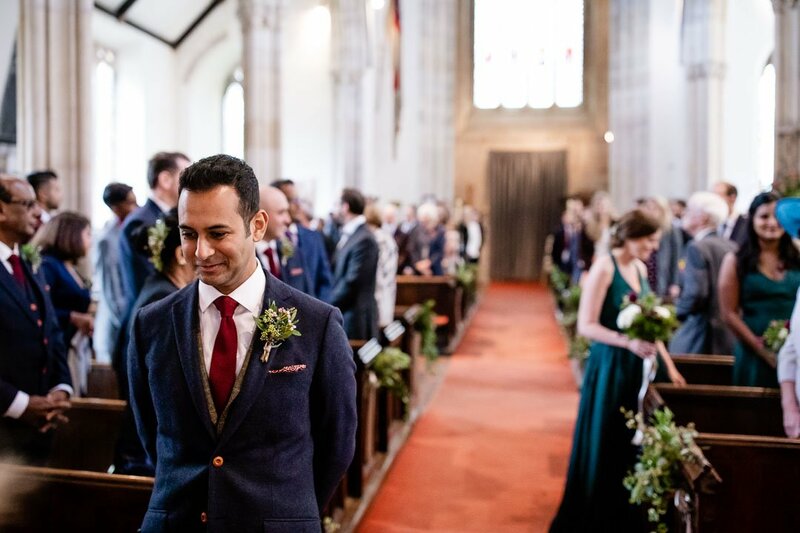 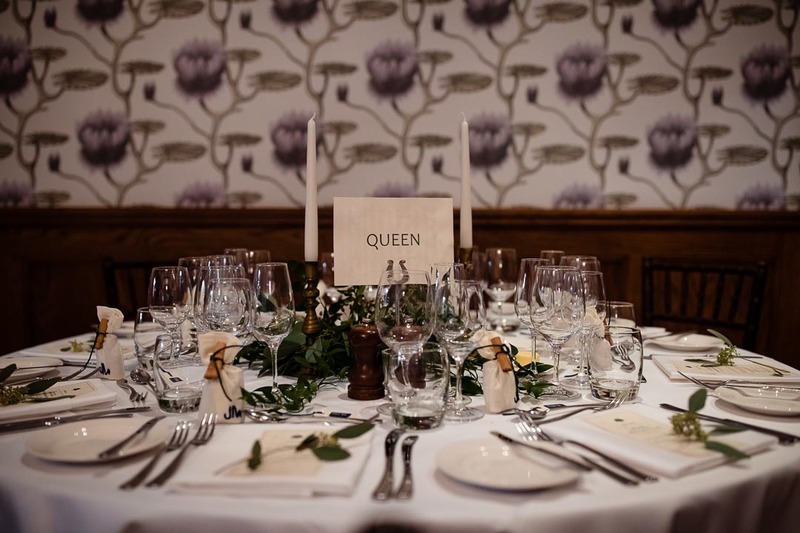 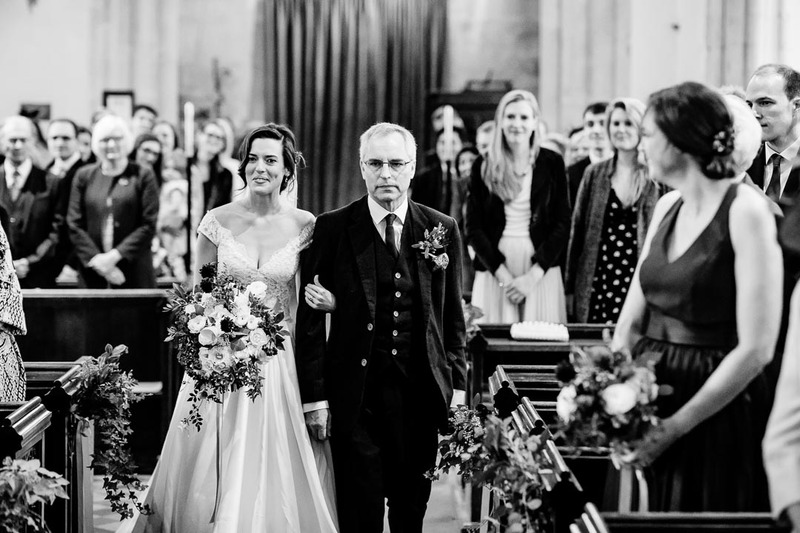 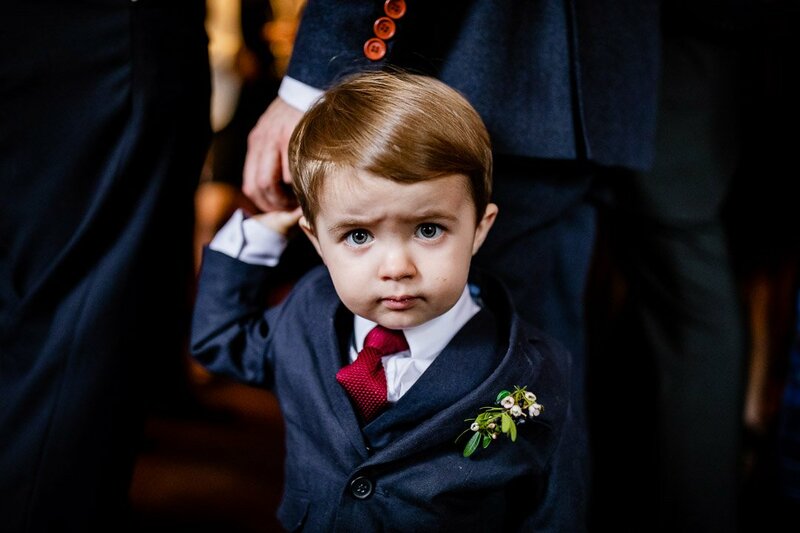 Jess and Marv’s wedding was a joyous event in an incredible venue, The Manor House Hotel. 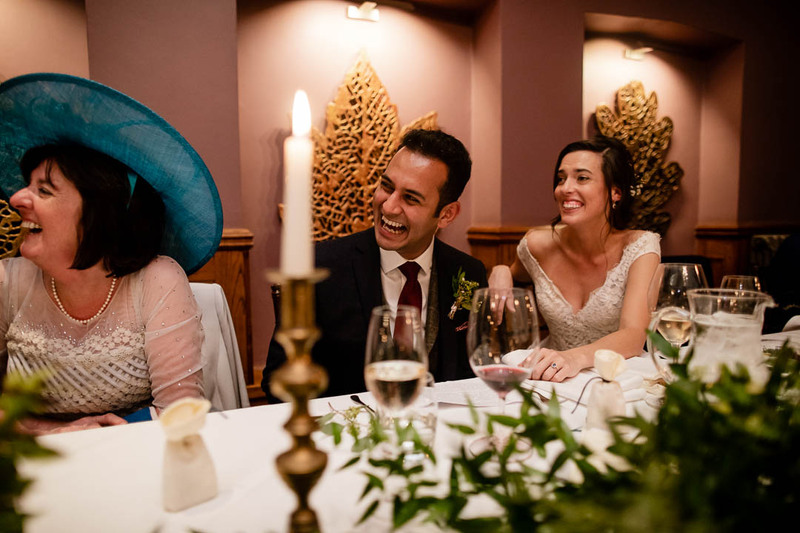 Jess and Marv are a genuinely lovely couple, and it was a real pleasure to be part of their special day.